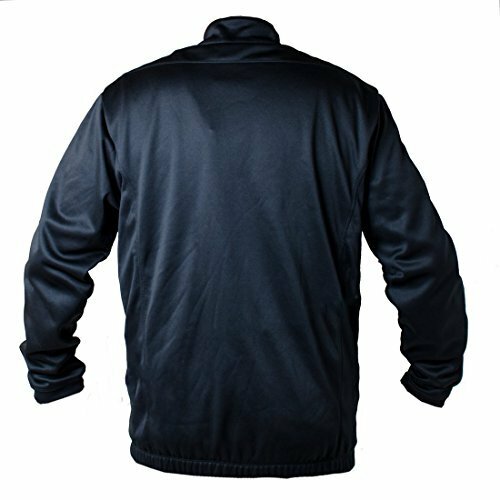 100% Plain weave Polyester body. 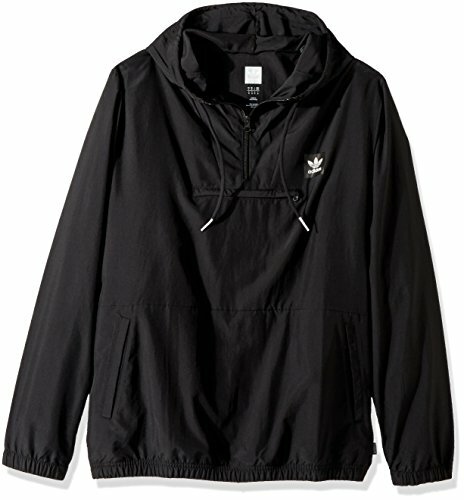 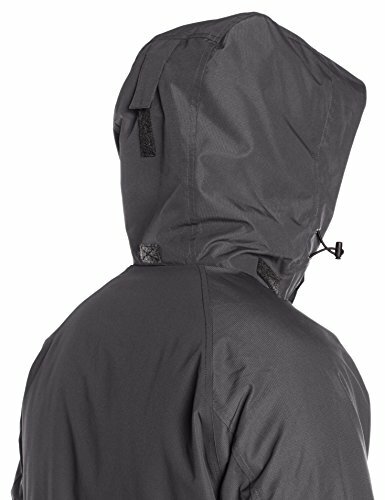 100% Dobby Polyester hood and sleeves. 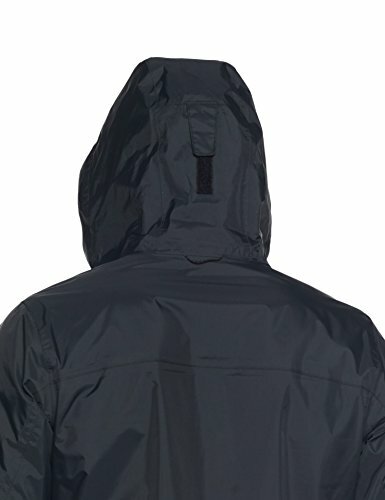 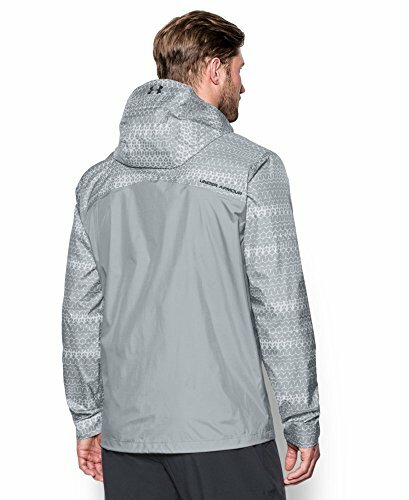 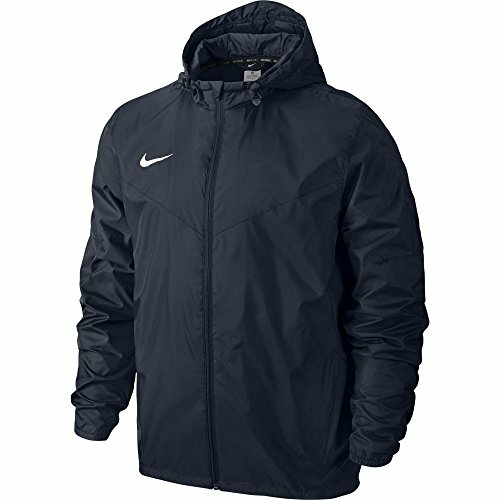 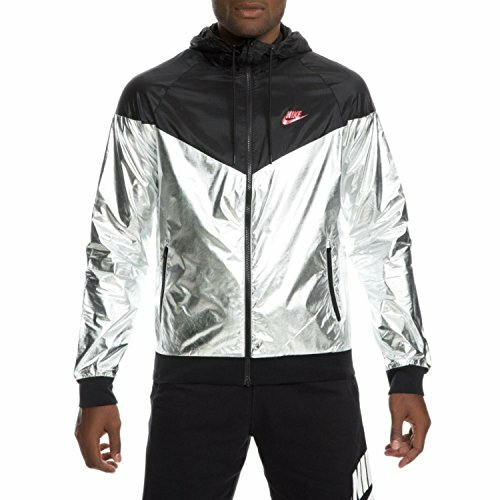 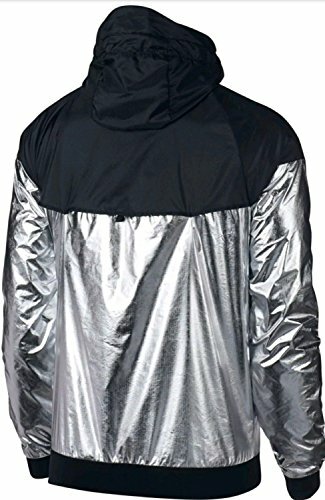 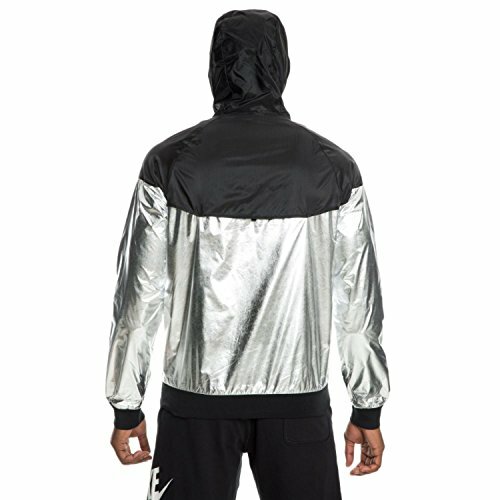 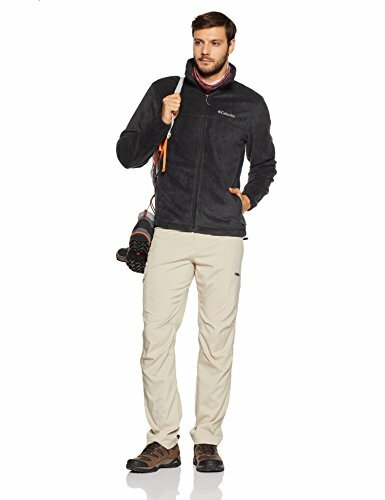 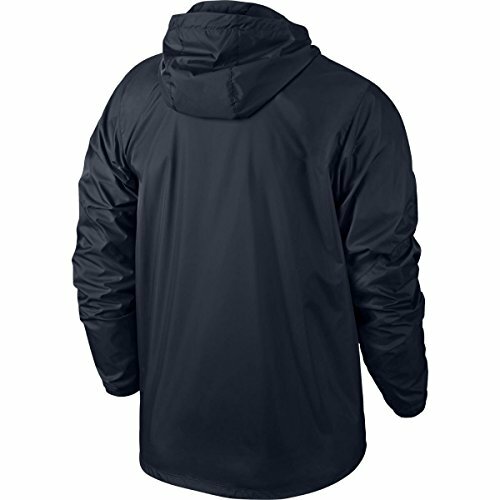 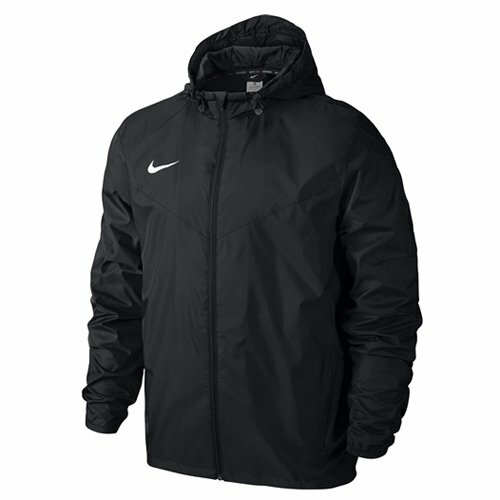 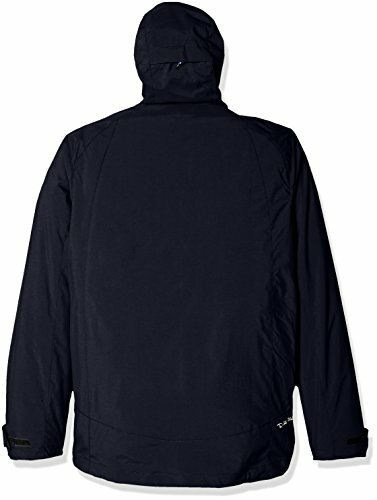 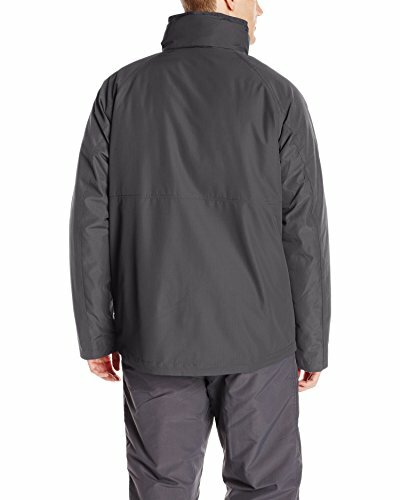 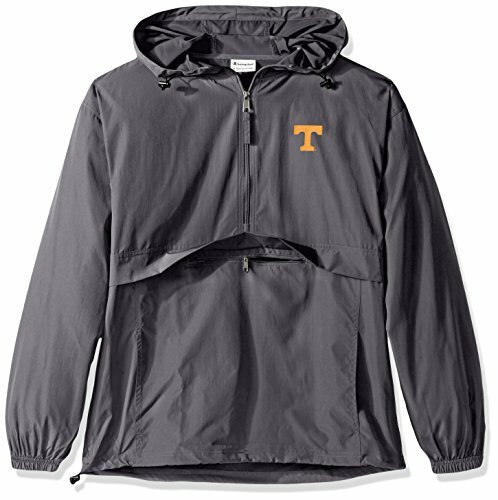 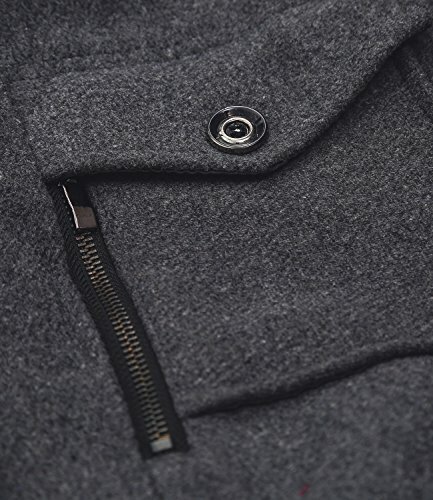 Reflective bungees, grommets and piping along zipper; Zippered pockets. 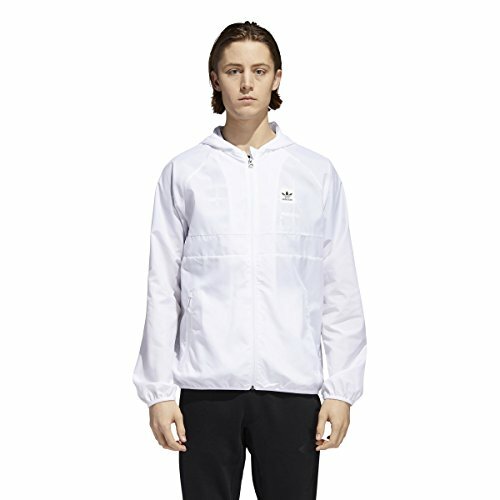 White matte print Adidas logo. 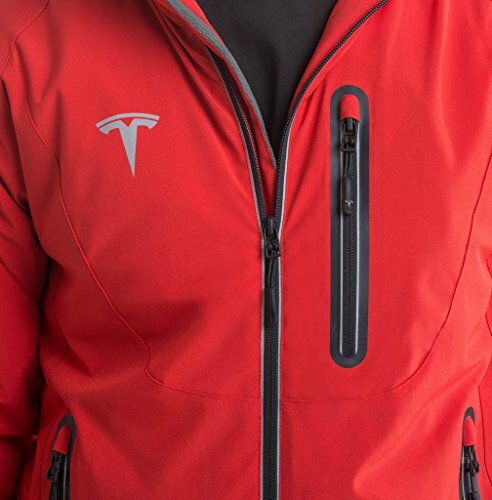 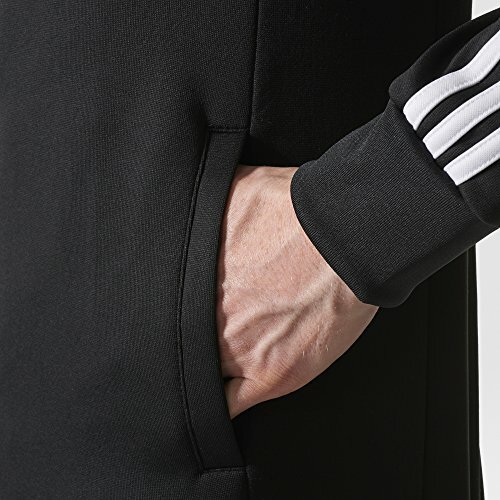 Hand-warming front pockets. 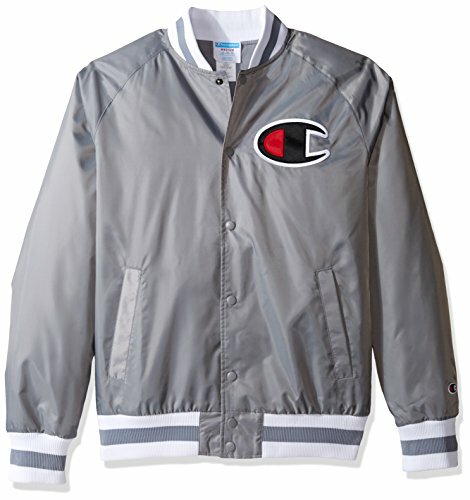 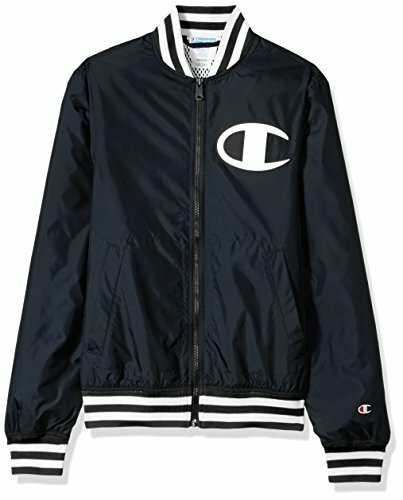 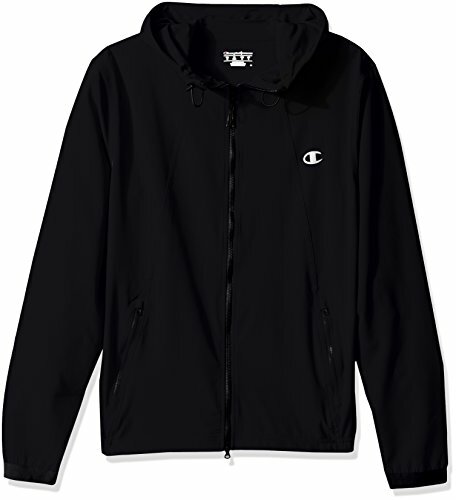 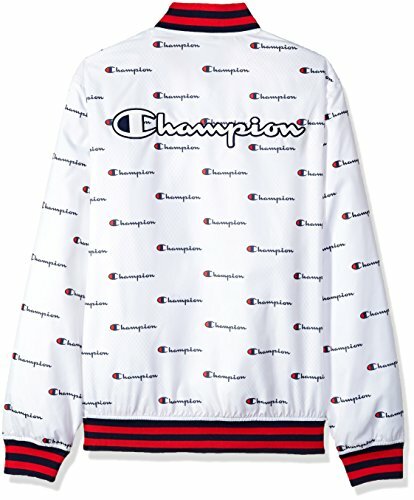 C logo at left chest; C patch logo on sleeve. 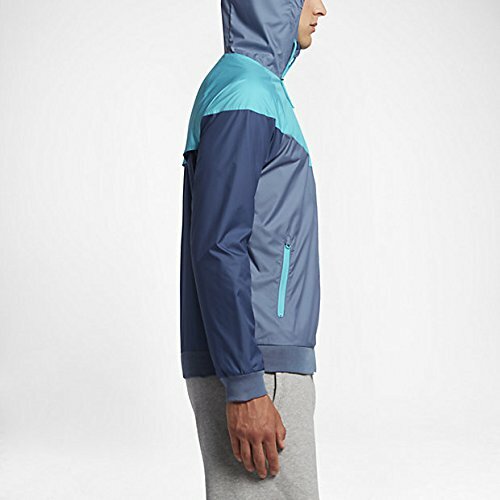 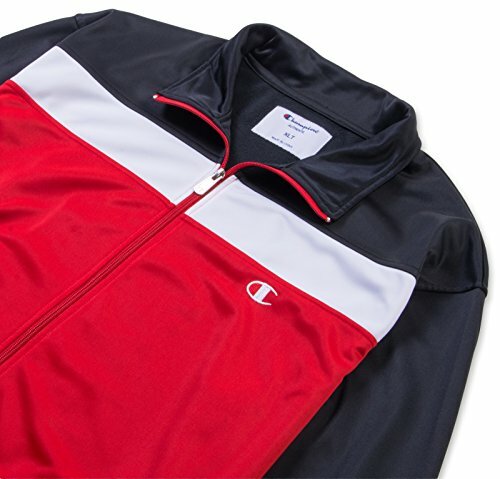 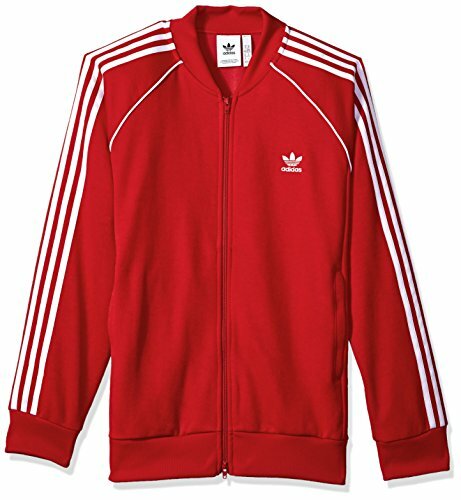 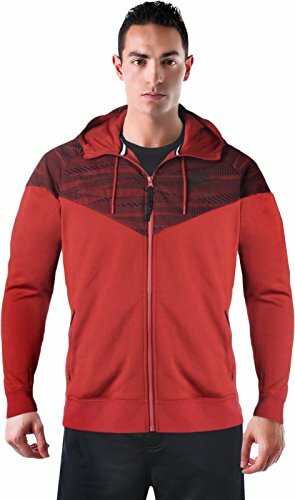 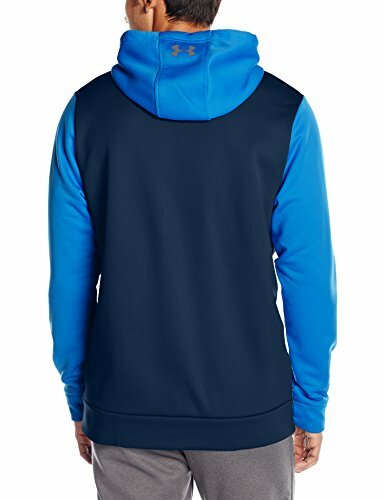 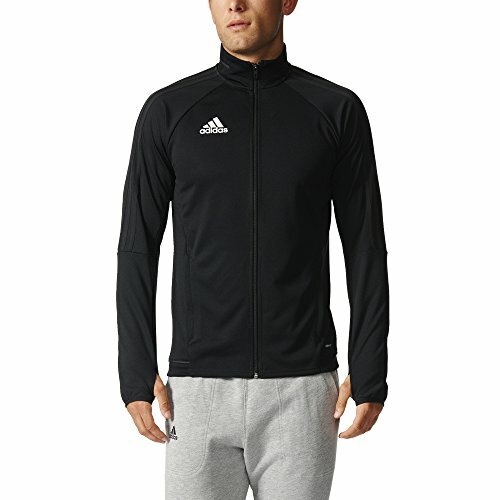 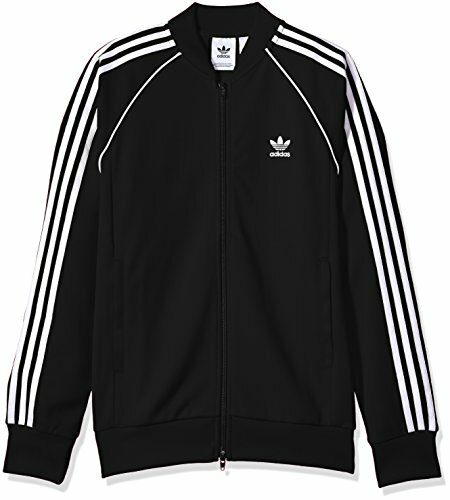 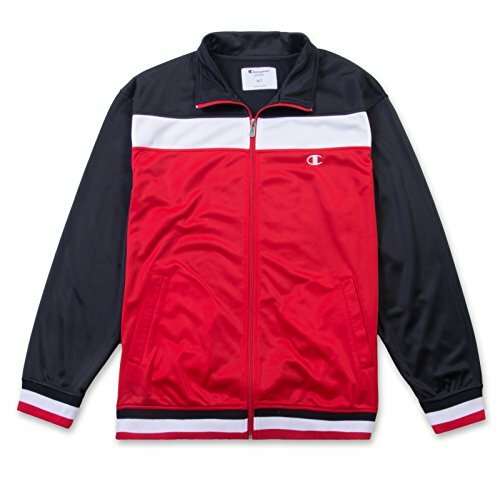 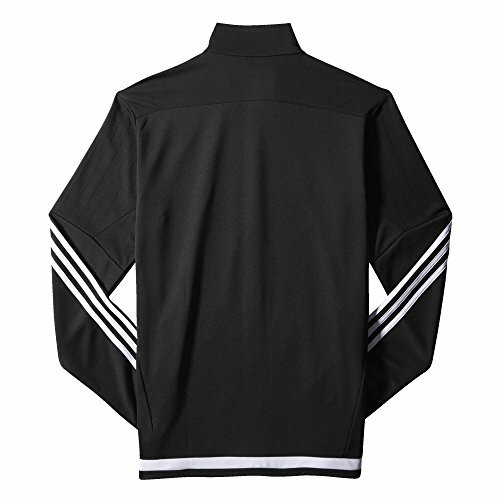 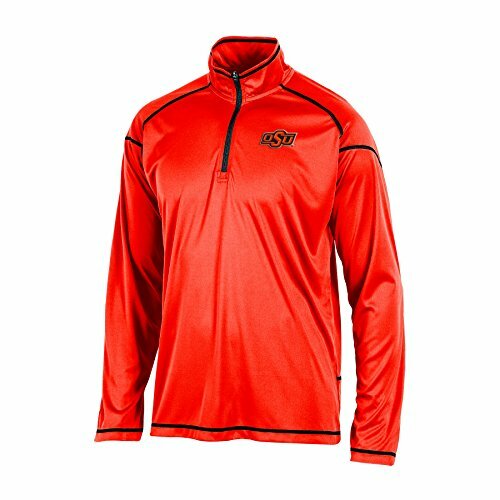 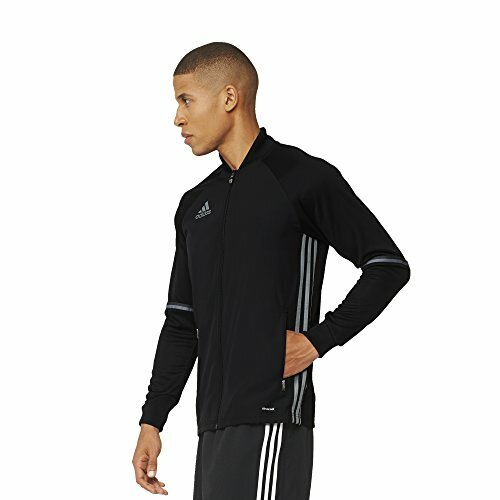 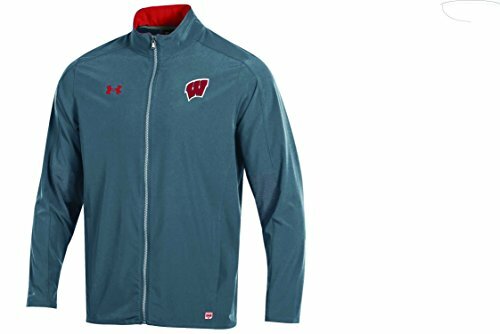 COMFORTABLE TRICOT FABRIC: Be as comfortable as possible during your workout in this cool athletic track jacket with tricot fabric. 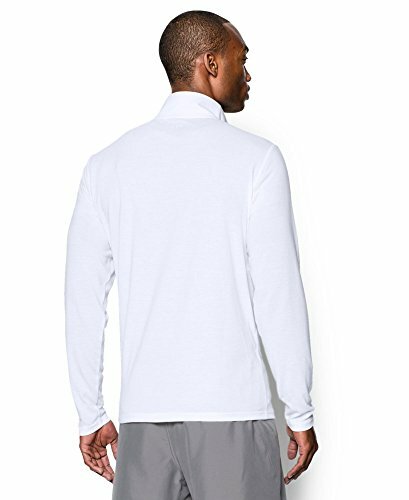 The tricot provides you with a softer and more accurate fit, leaving you free to concentrate more on your workout and less on how your clothes feel. 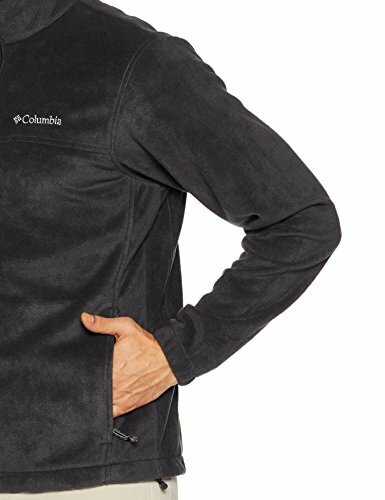 You'll be so comfortable and relaxed that you'll feel like you aren't wearing anything at all. 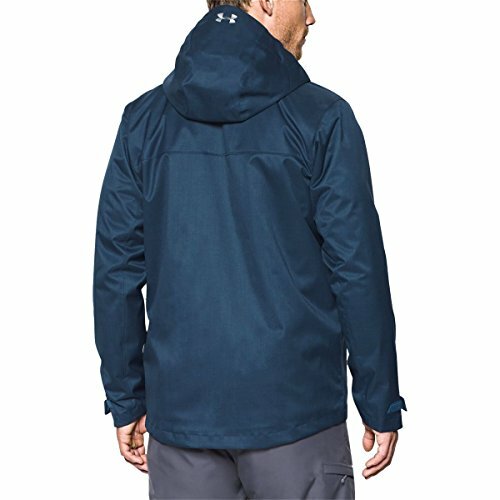 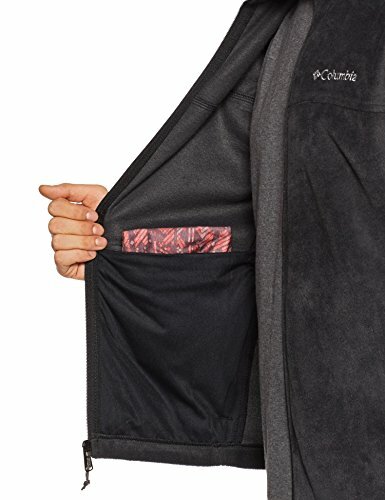 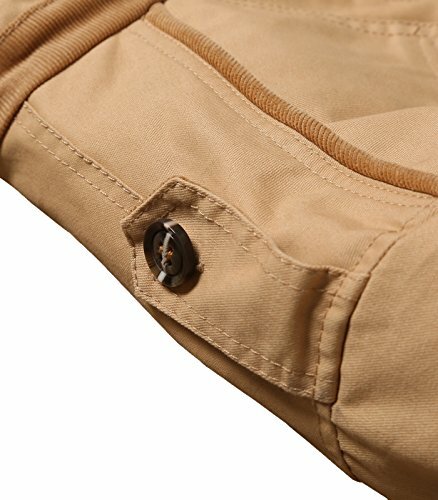 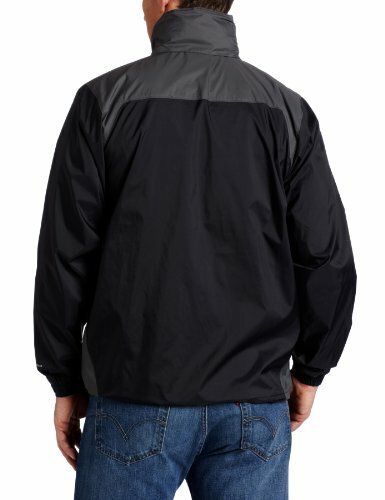 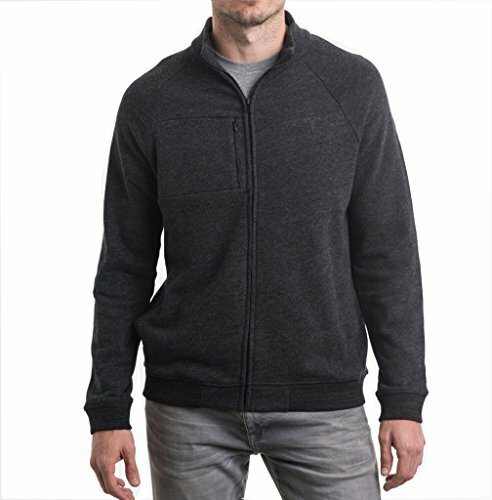 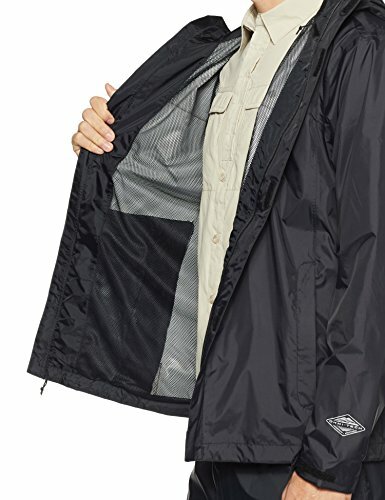 POCKETS: The two pockets, one on each side, blend in perfectly with the jacket and are ideal for holding items such as your cell phone, wallet, keys, or anything else you might want to have on you while you're out and about. 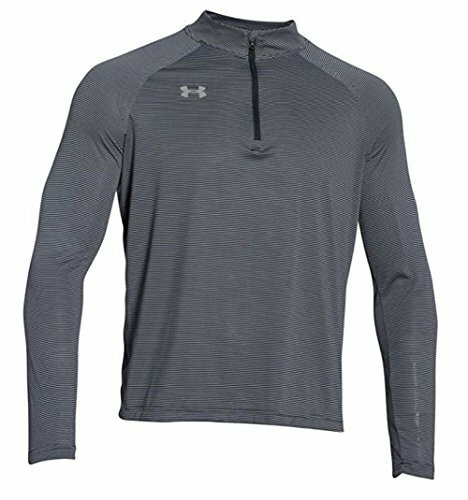 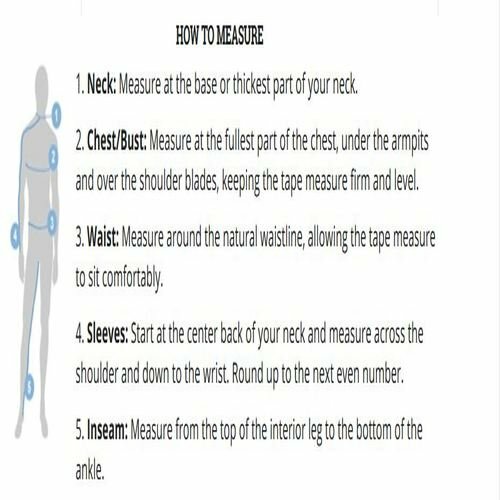 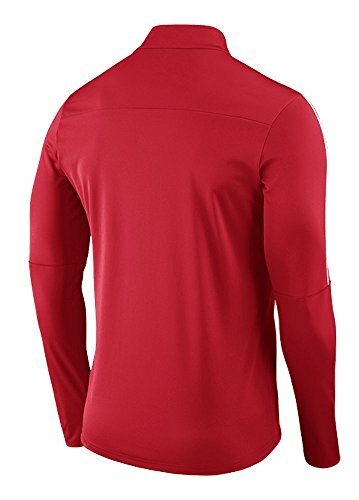 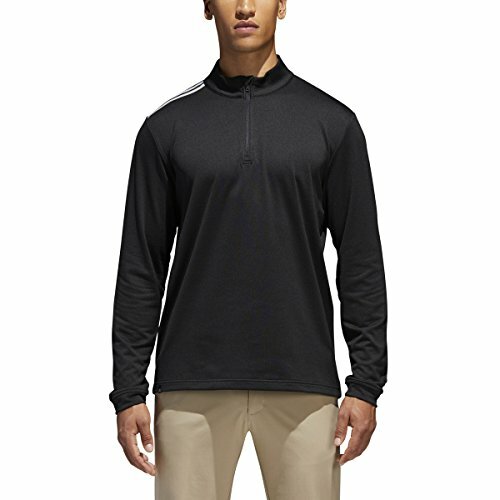 CUFFED SLEEVES: The cuffed sleeves can be pushed back if you get too hot while working out or if you just want to keep your sleeves out of the way when you're doing exercises such as push ups, etc. 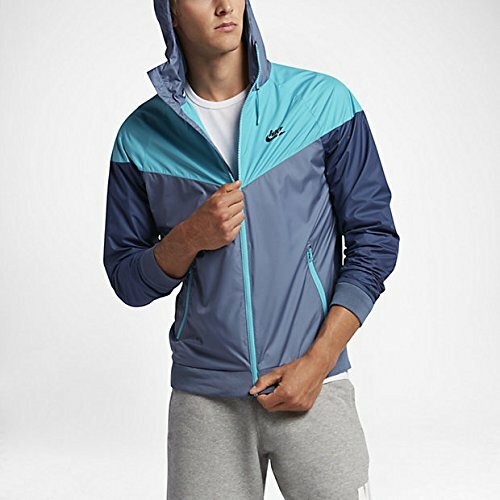 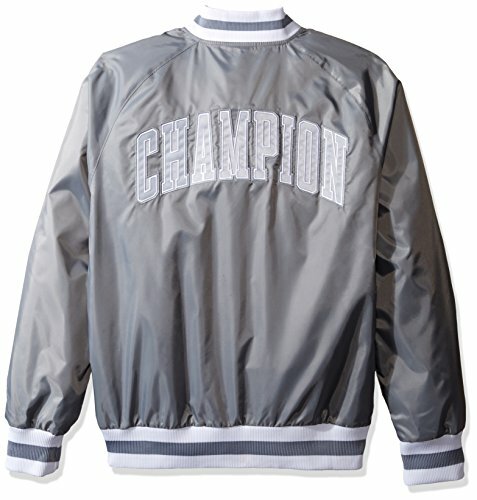 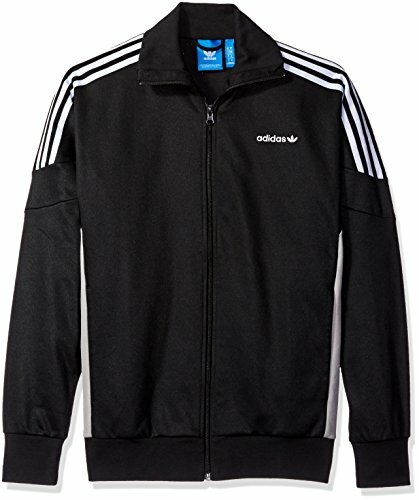 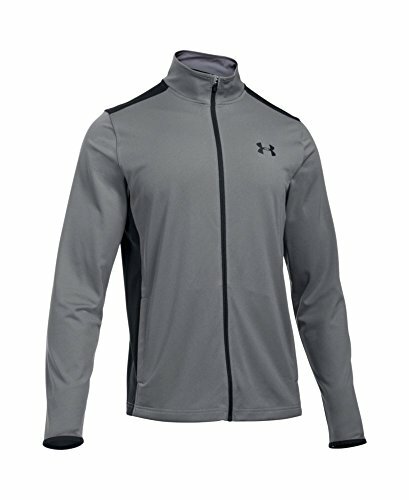 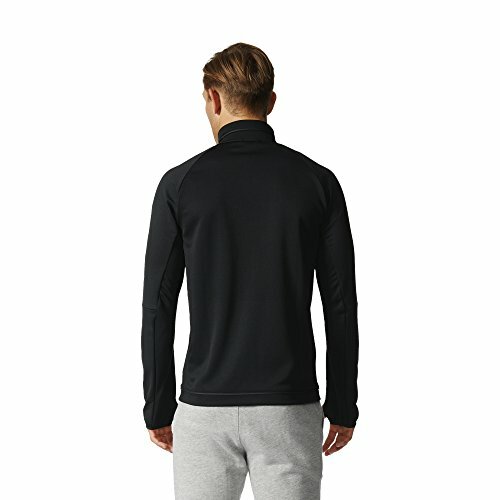 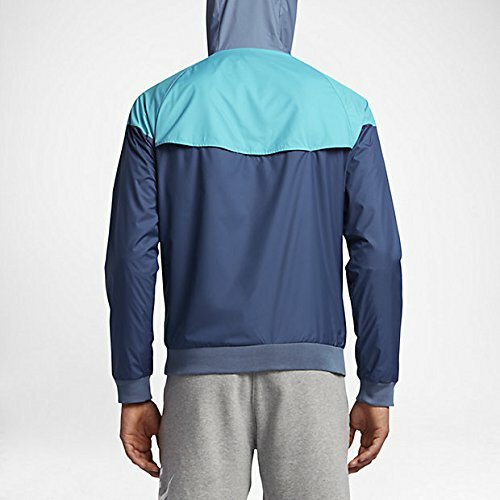 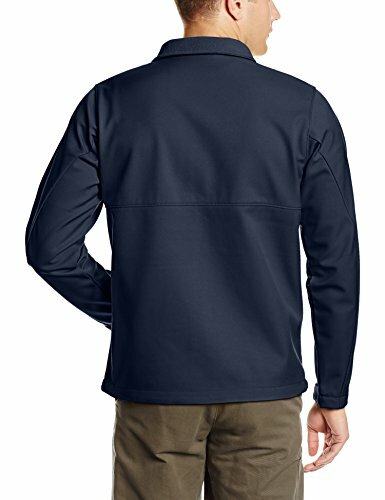 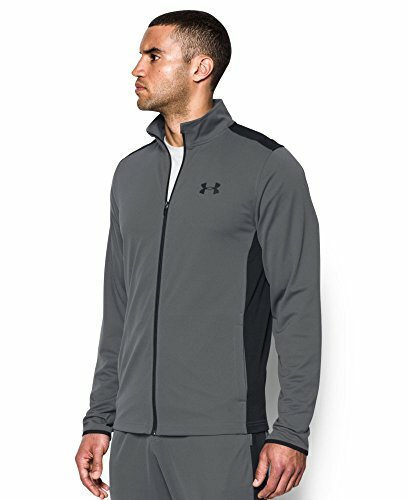 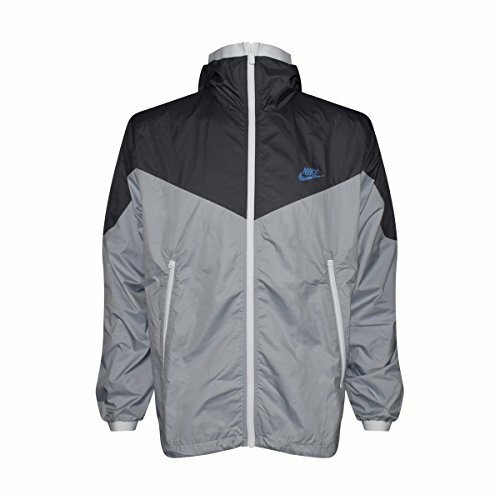 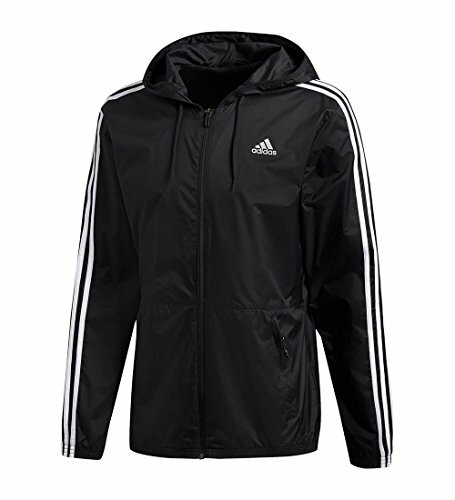 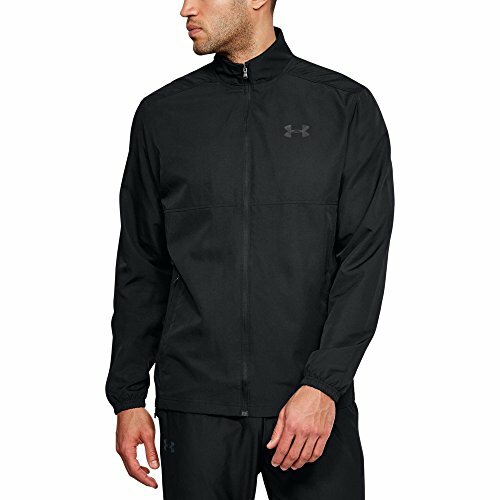 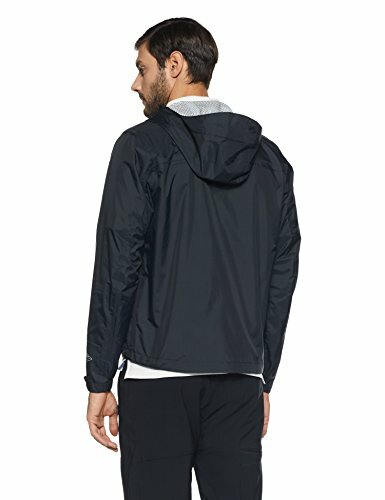 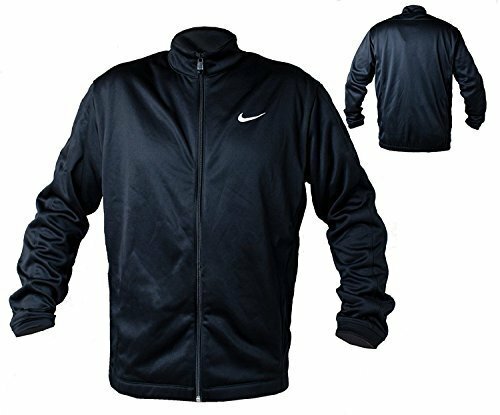 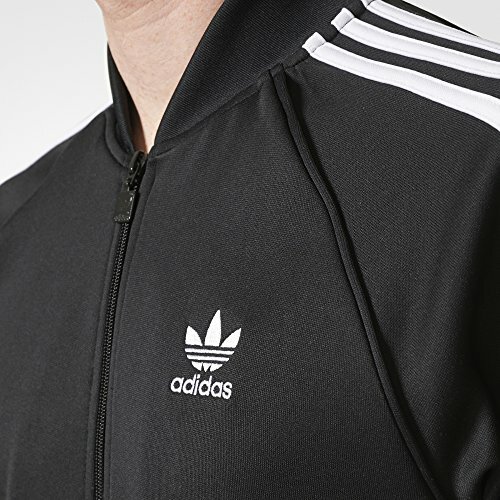 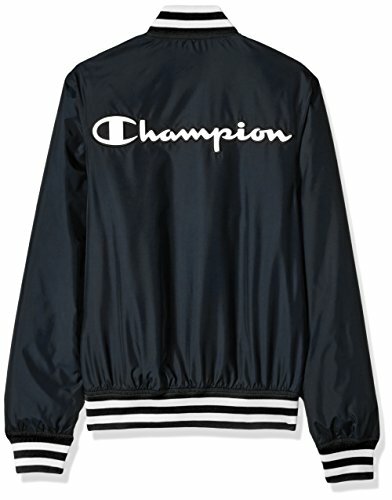 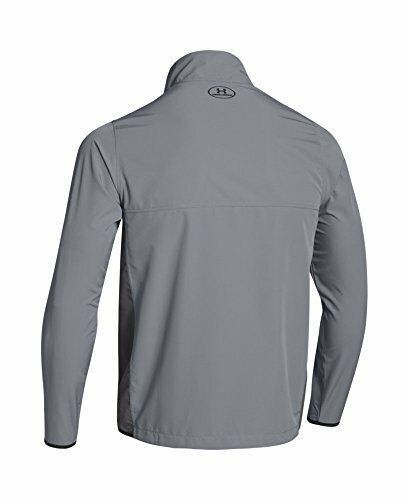 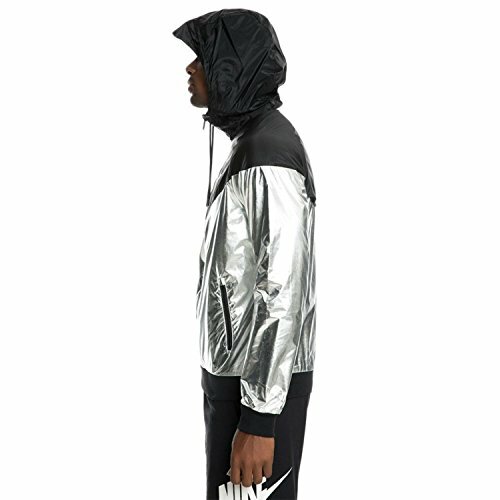 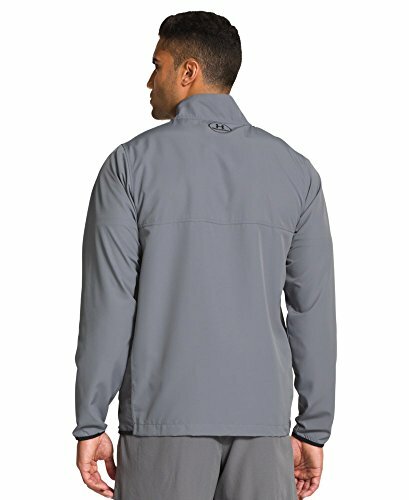 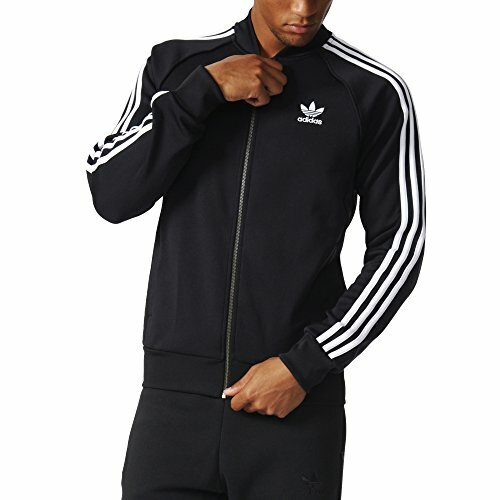 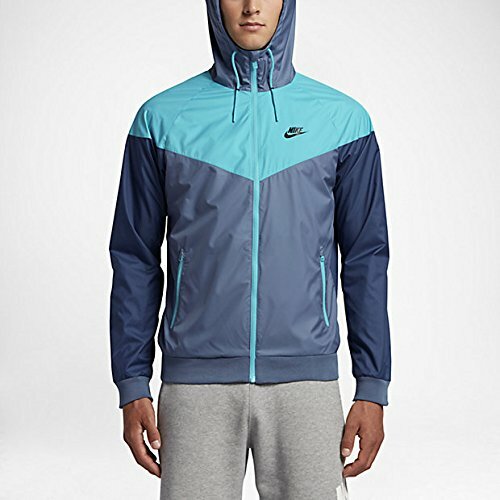 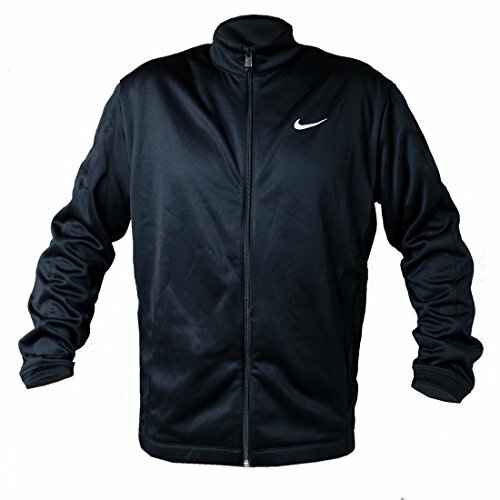 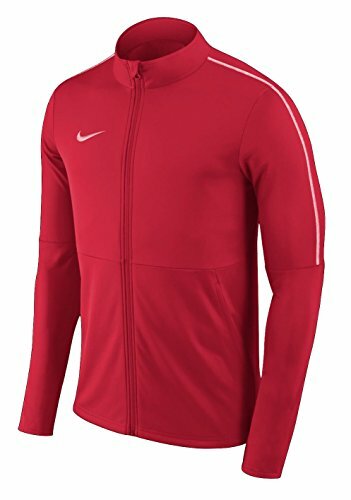 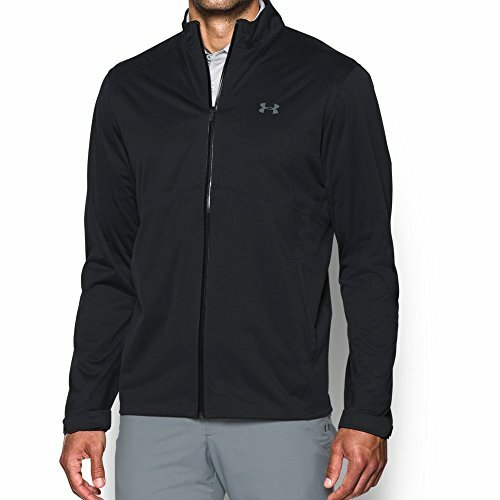 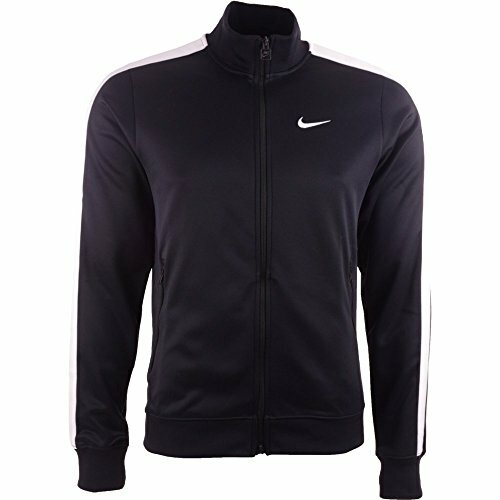 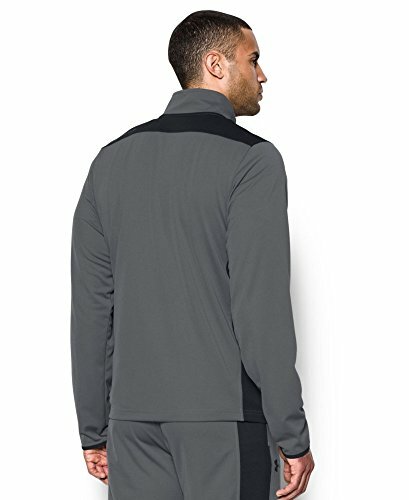 STYLISH: The fit of this stylish athletic track jacket will ensure that you look and feel your best while you're working out. 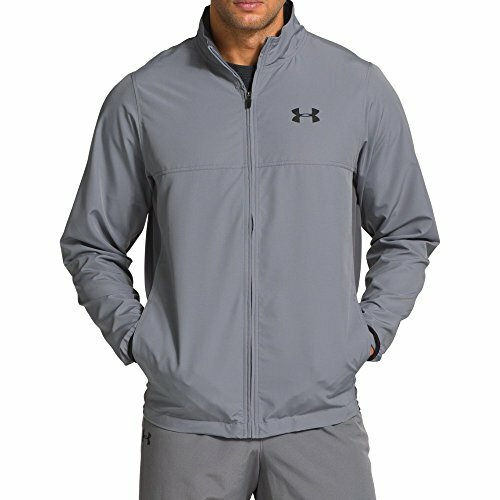 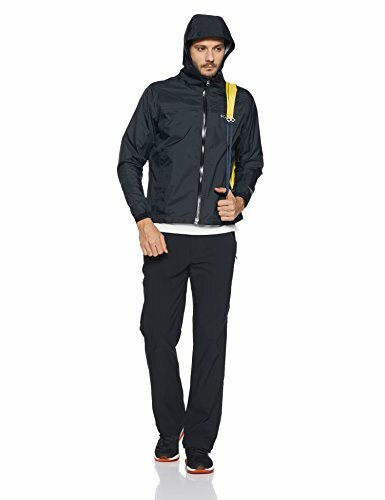 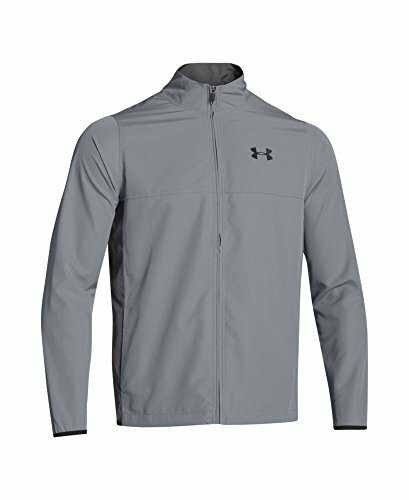 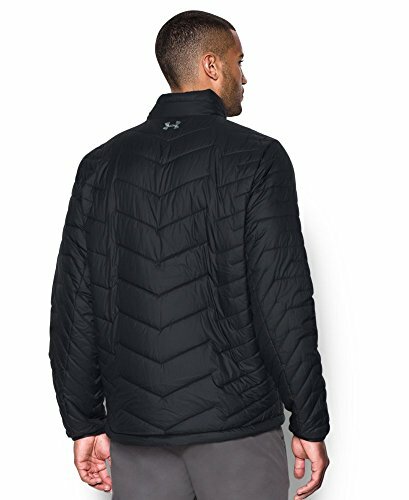 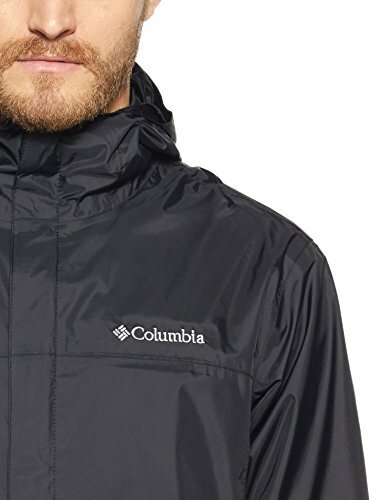 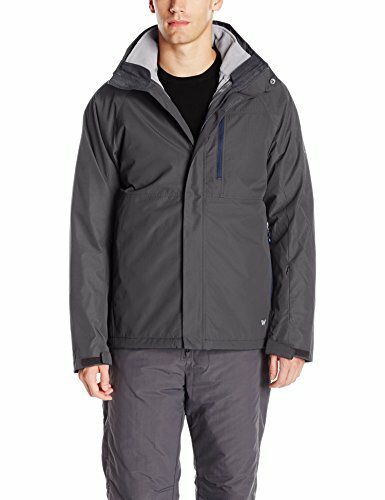 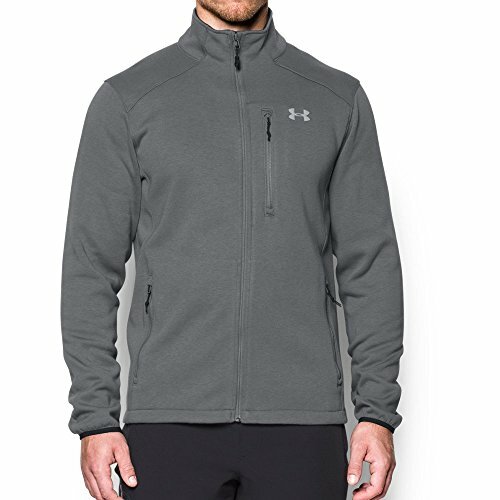 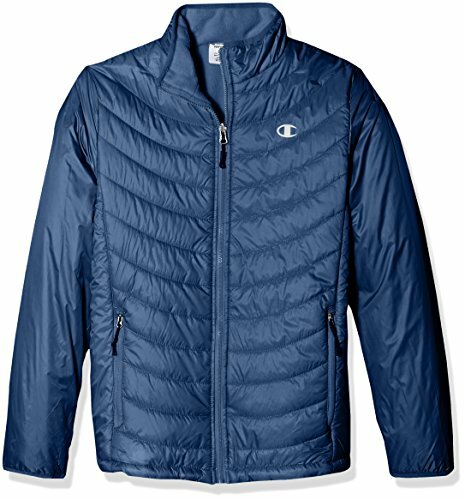 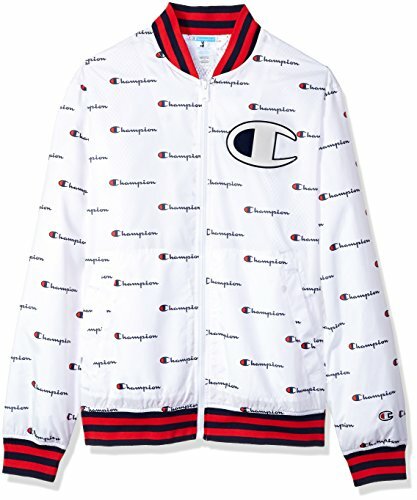 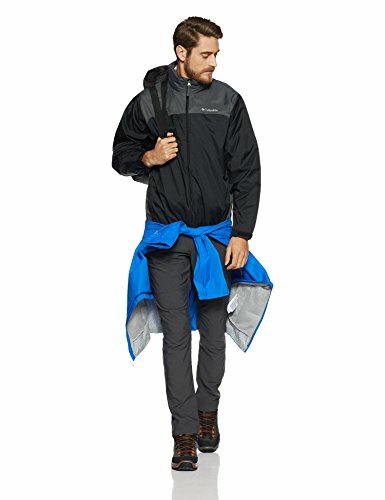 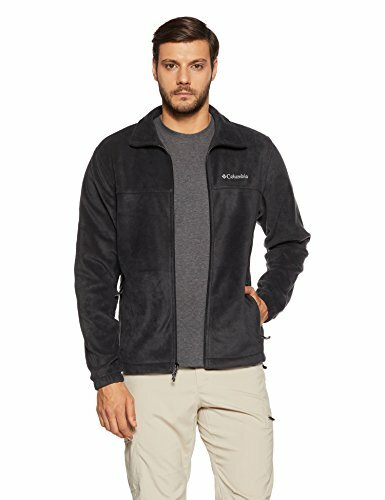 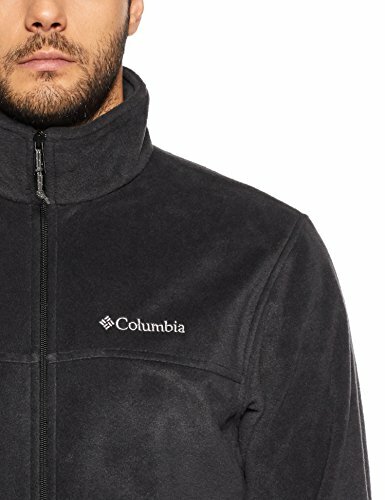 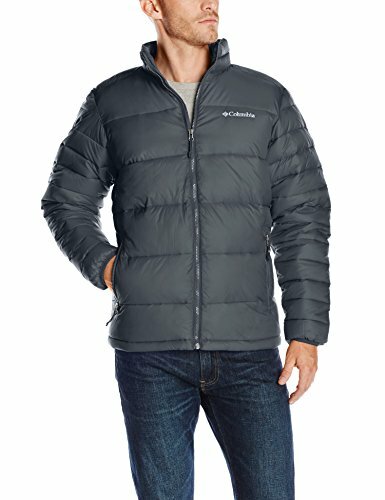 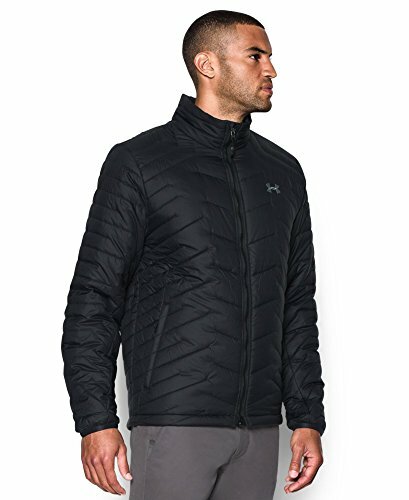 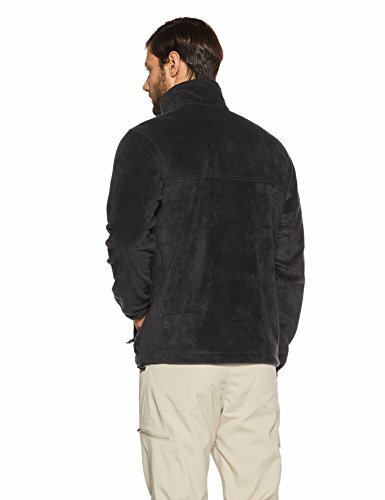 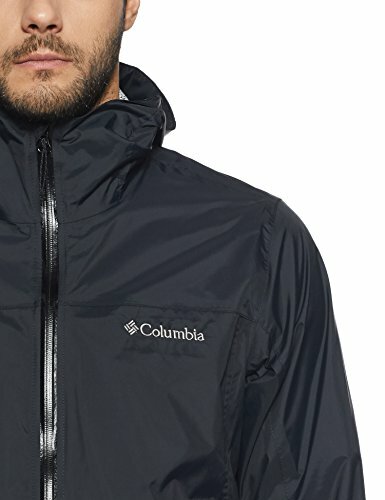 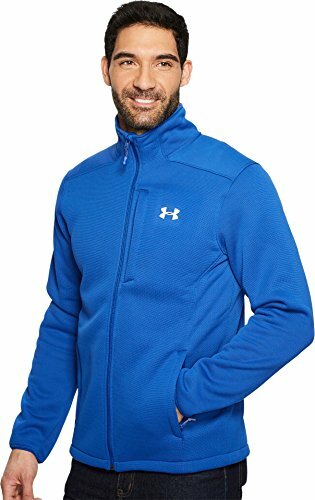 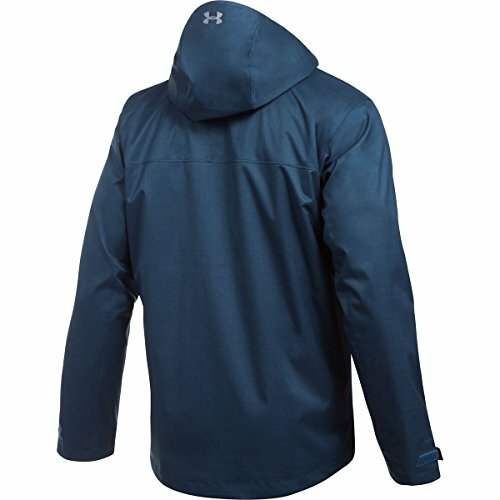 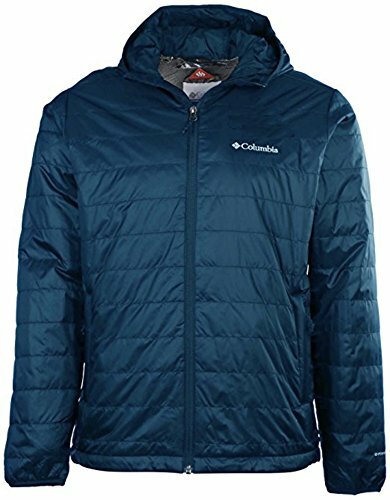 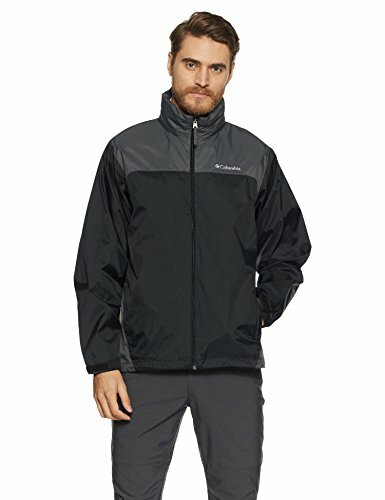 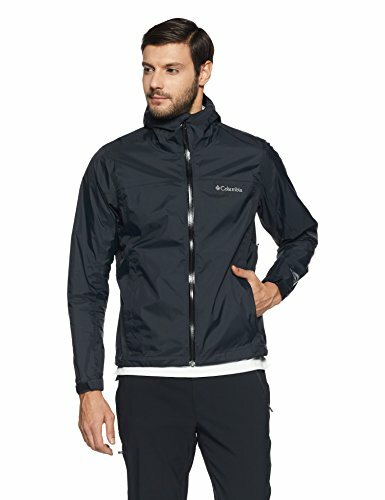 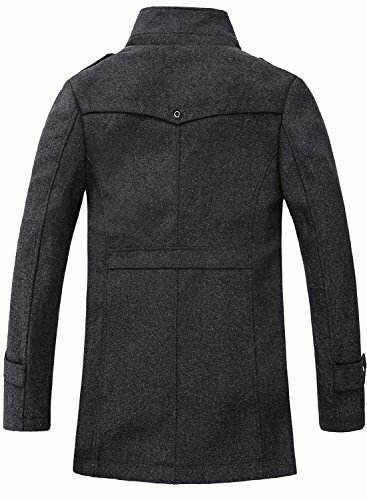 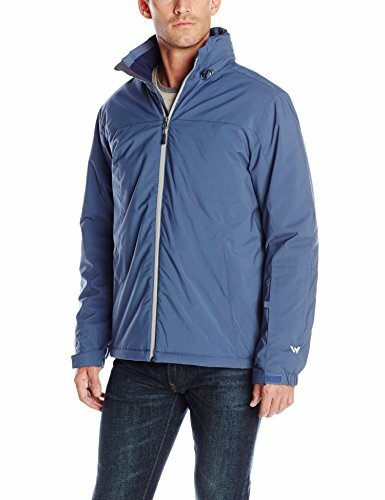 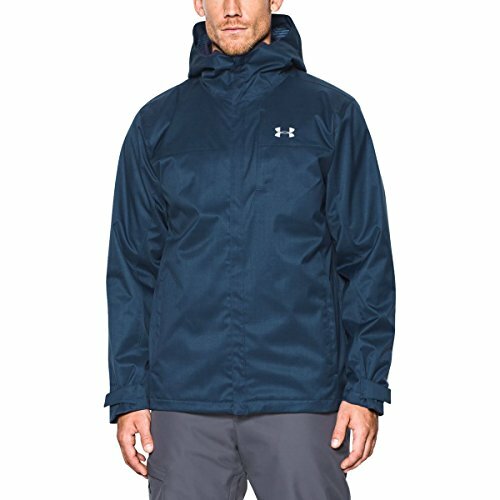 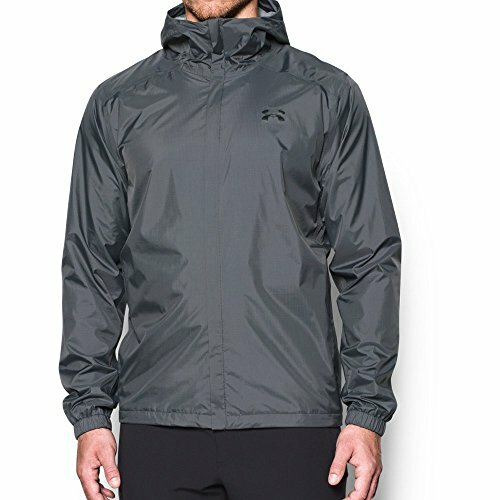 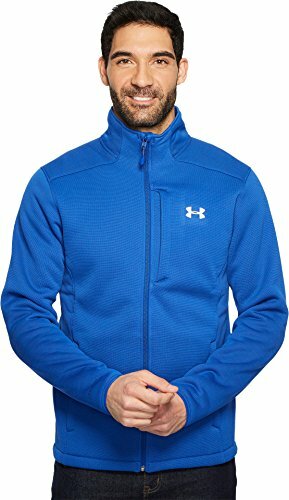 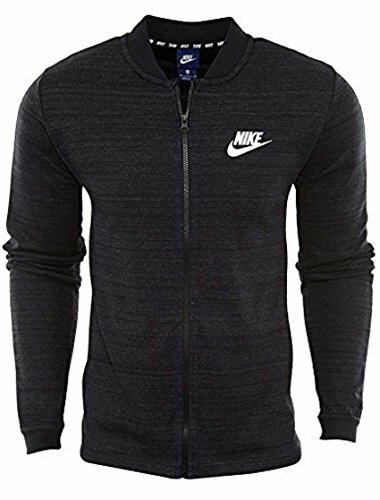 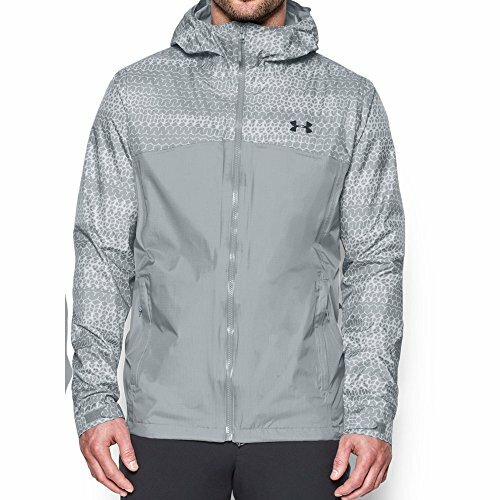 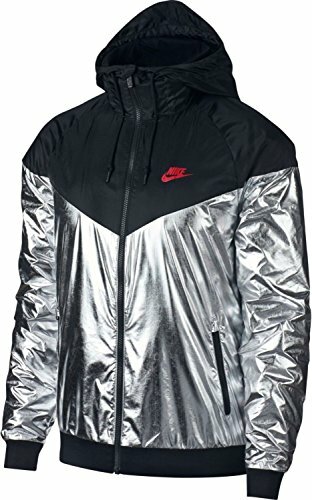 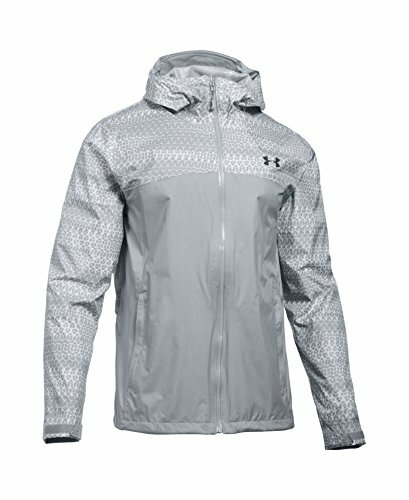 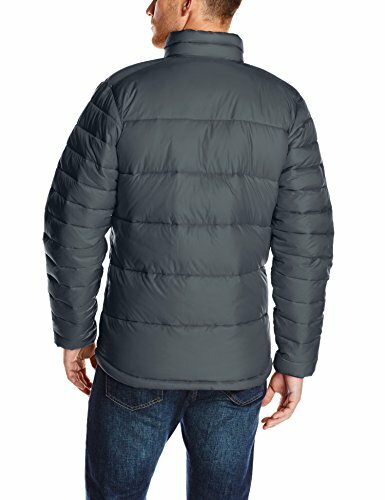 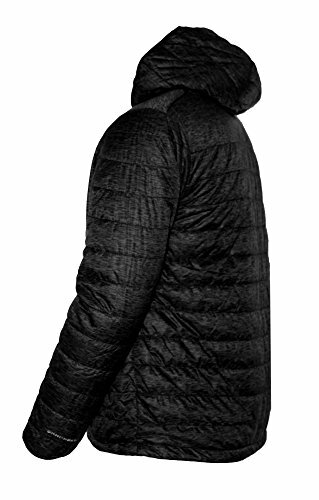 Both stylish and practical, this jacket will keep you warm in the winter, cool in the transition months, and fashionable, so you'll always feel dressed up, even when you're working out. 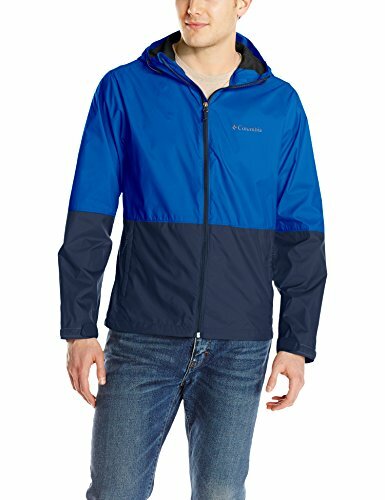 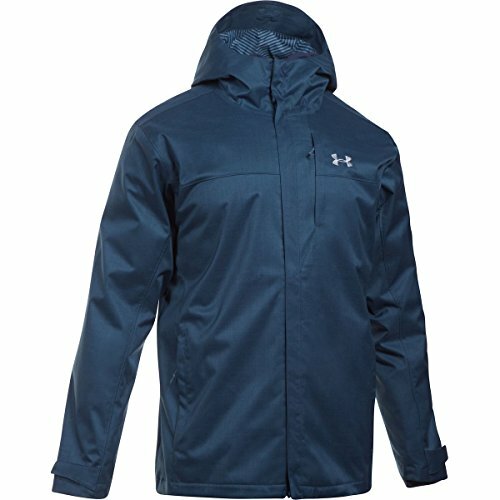 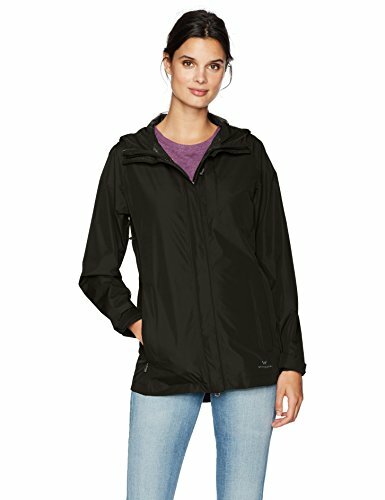 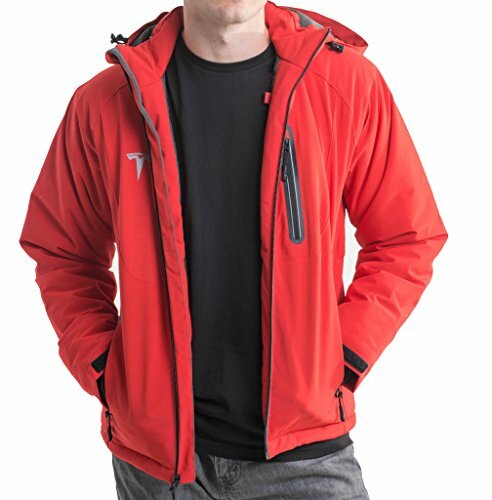 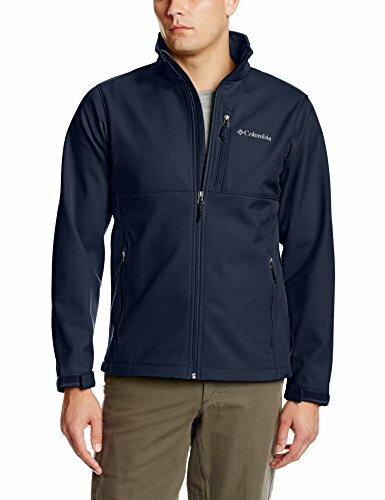 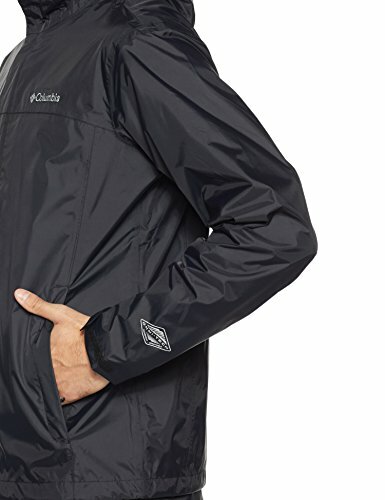 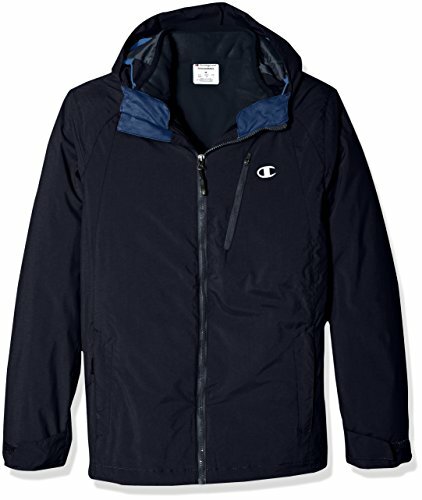 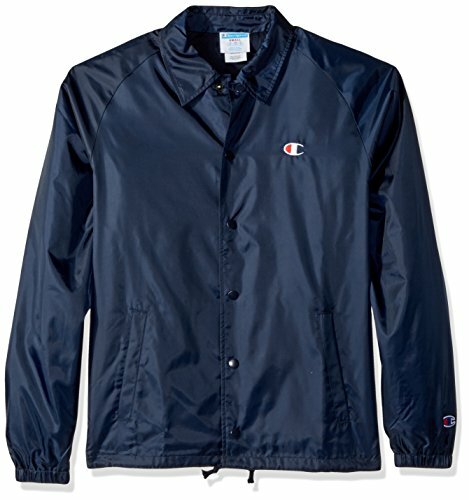 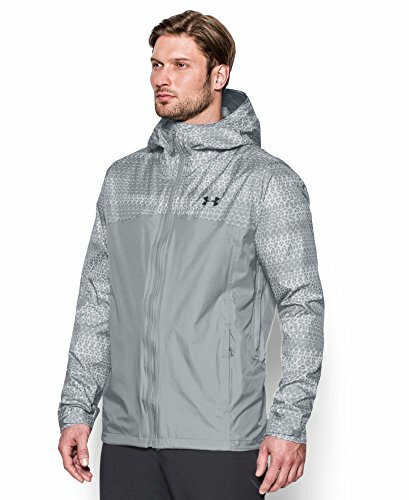 MULTI USE: This jacket is great for either indoor or outdoor exercise, or for running errands on days when you just want to dress casually. 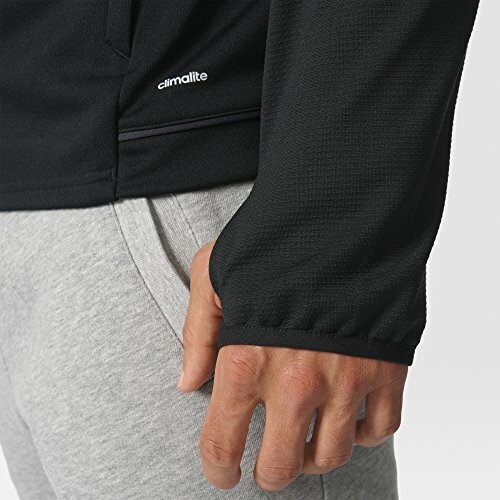 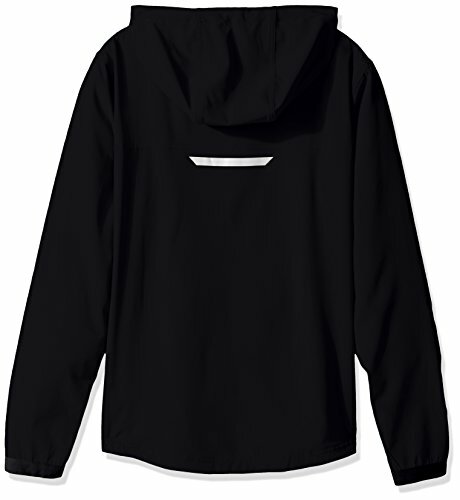 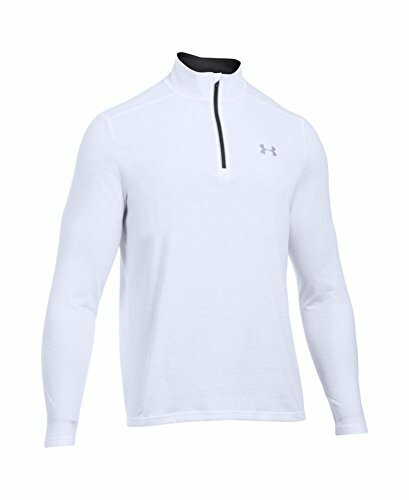 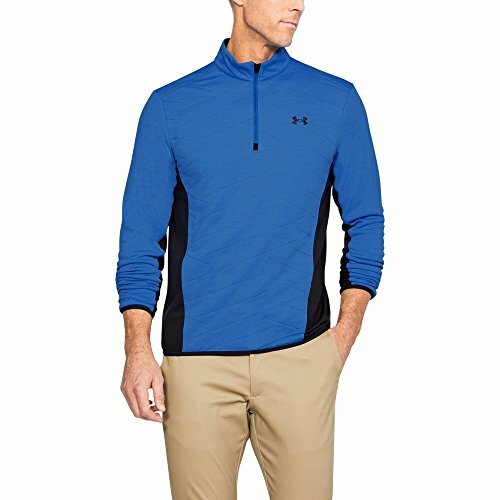 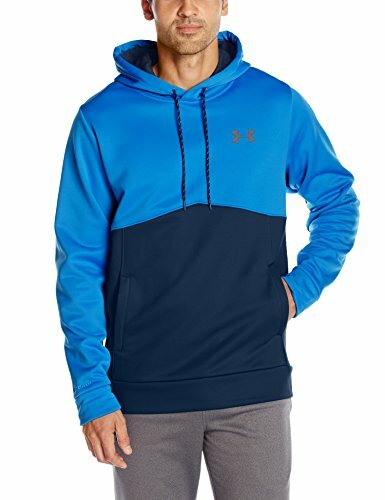 Wear while exercising outside in the colder months when you need to stay warm, or throw on during cooler evenings in the warmer months when you need something lightweight to fend off the cool breeze. 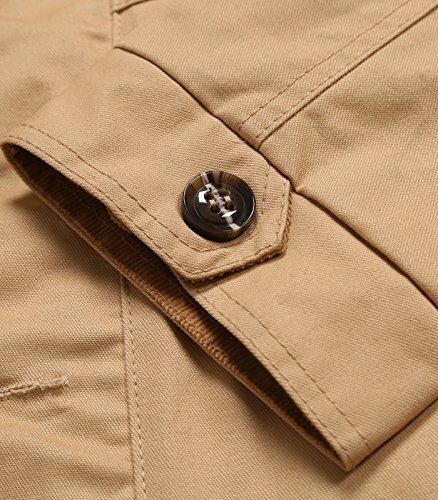 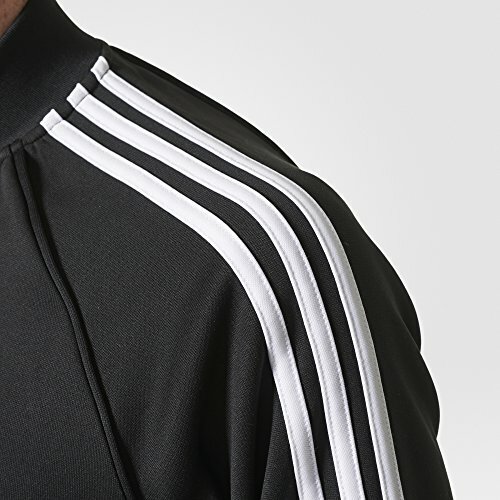 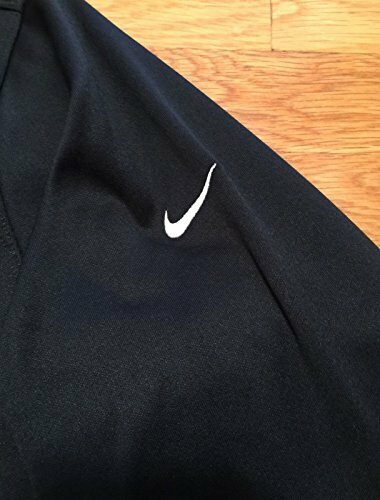 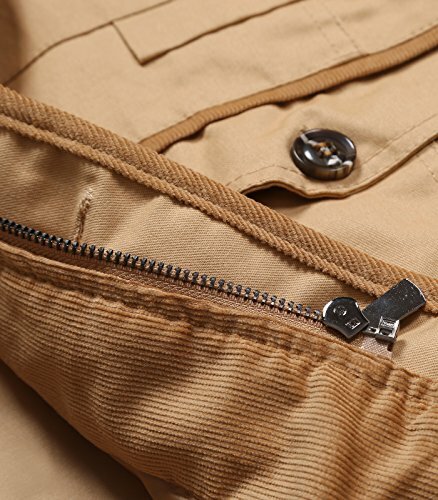 Elastic hem drawcord lets you personalize your fit. 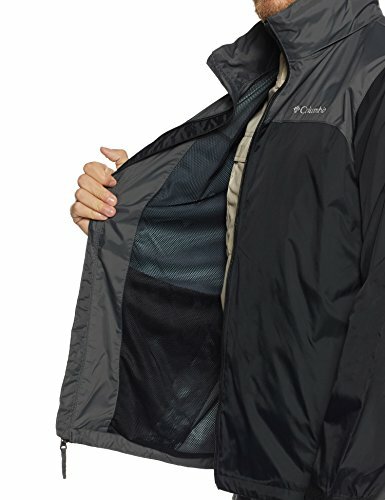 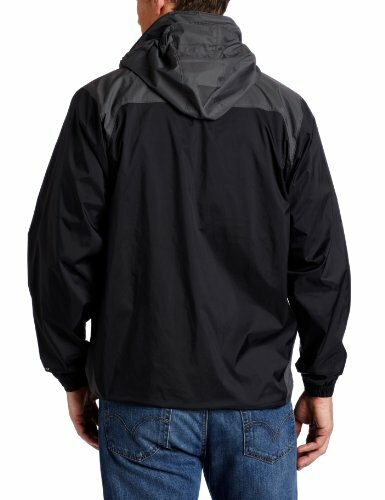 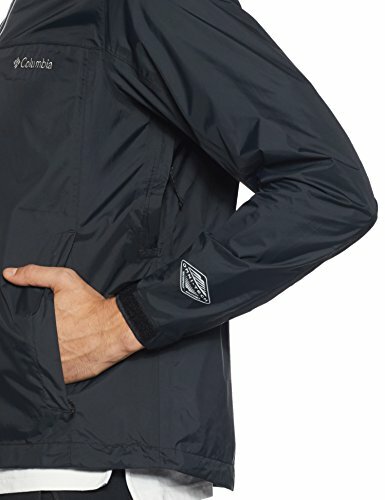 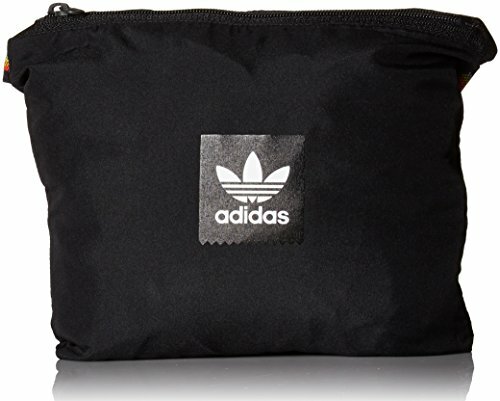 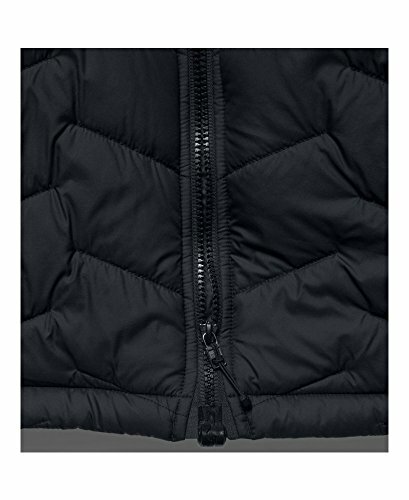 Side zippered pockets provide secure storage. 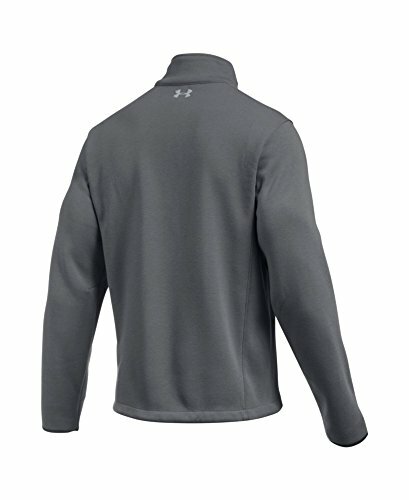 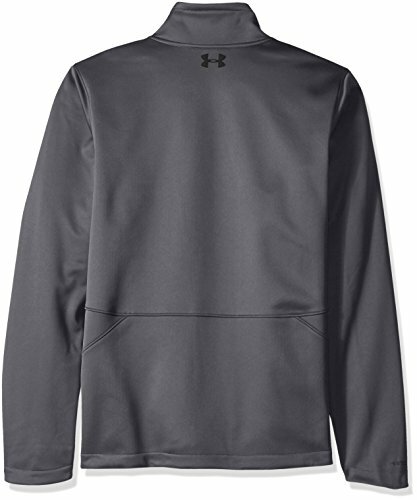 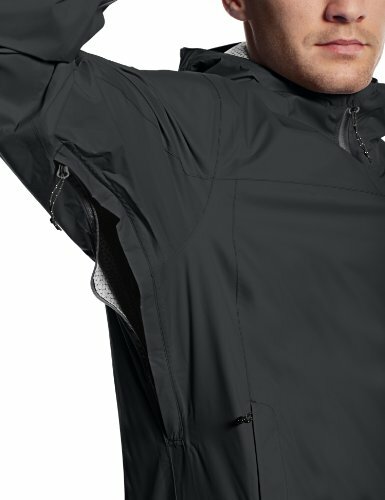 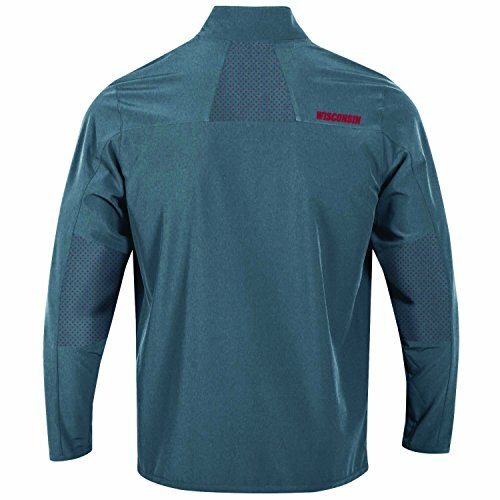 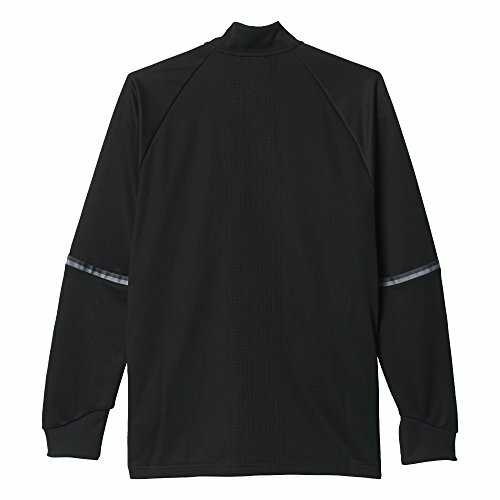 Dri-FIT technology moves sweat away from your skin to help you stay dry. 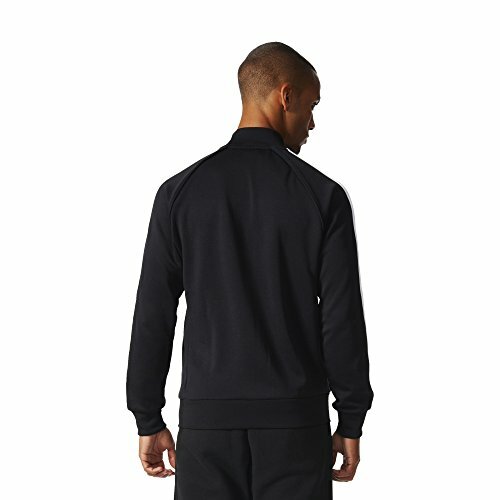 Slim cut provides a streamlined fit. 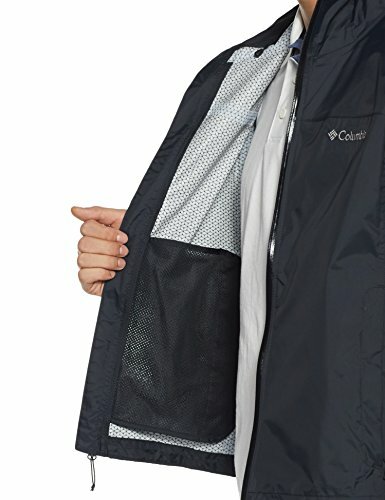 Stand-up collar offers enhanced coverage. 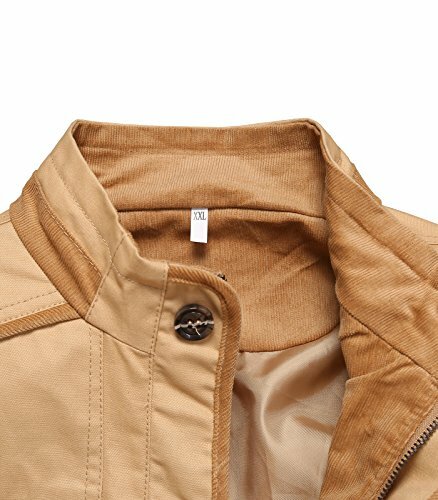 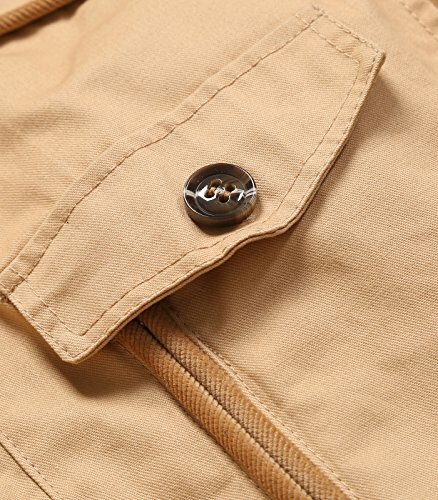 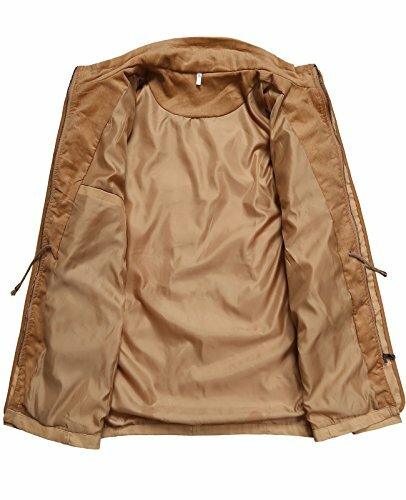 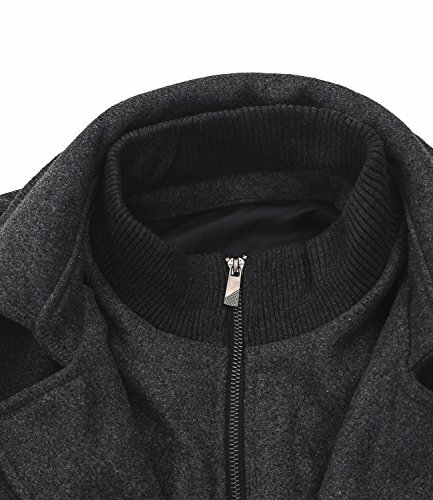 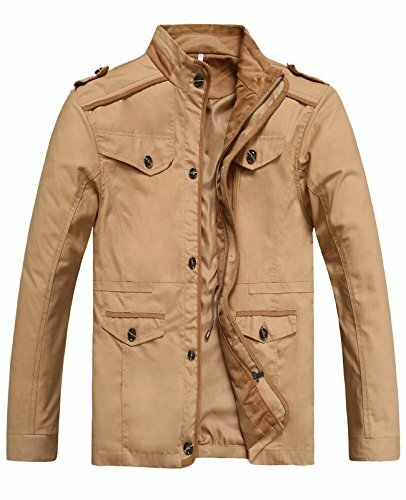 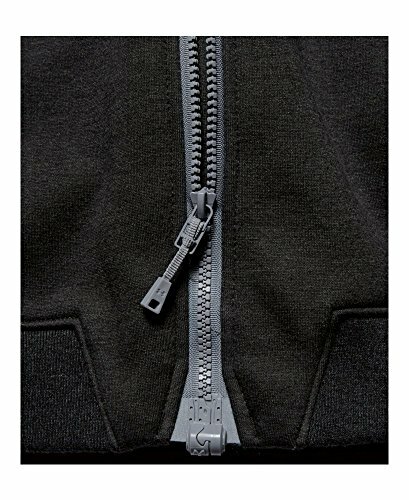 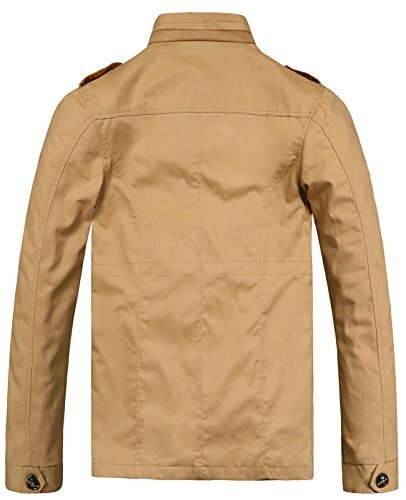 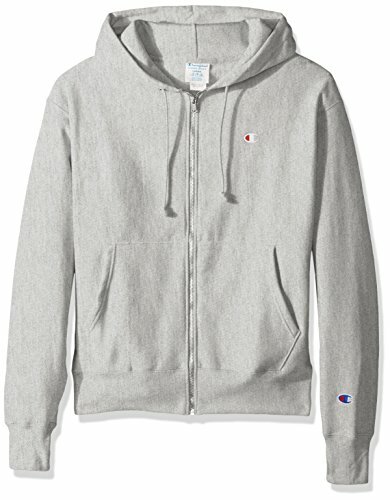 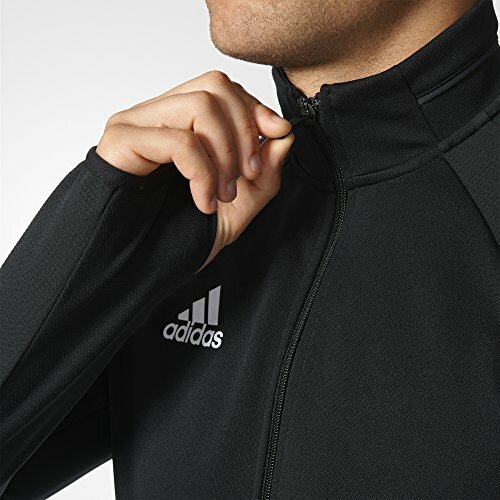 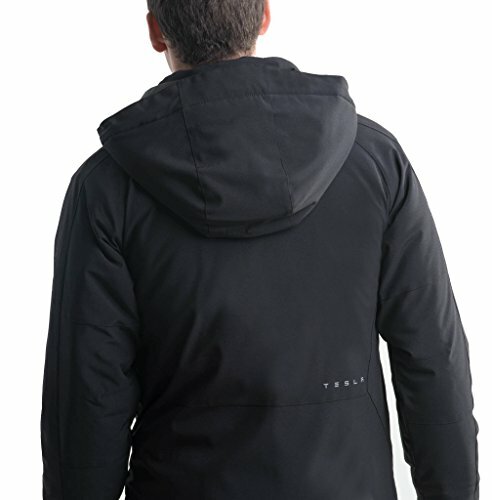 1/4-length zipper provides a custom fit. 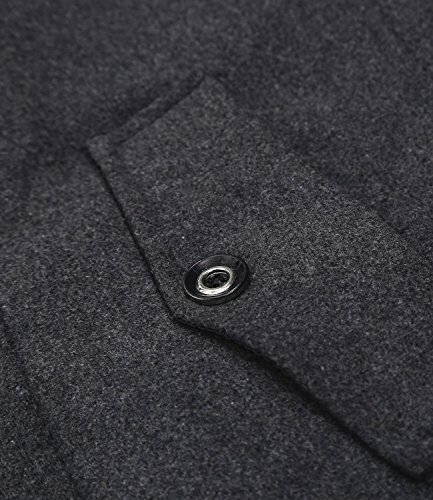 Drop-tail hem adds coverage in the back for shooting. 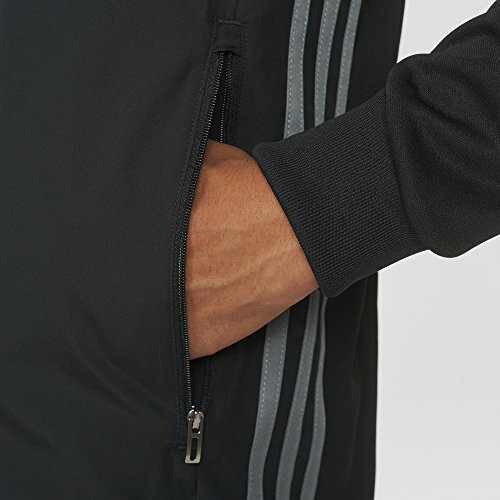 Shaped cuffs won't get in the way of ball handling. 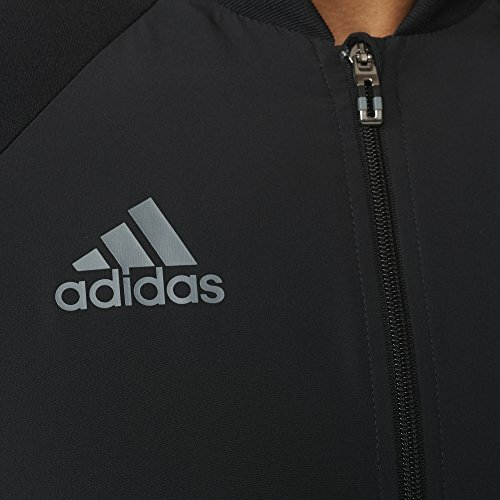 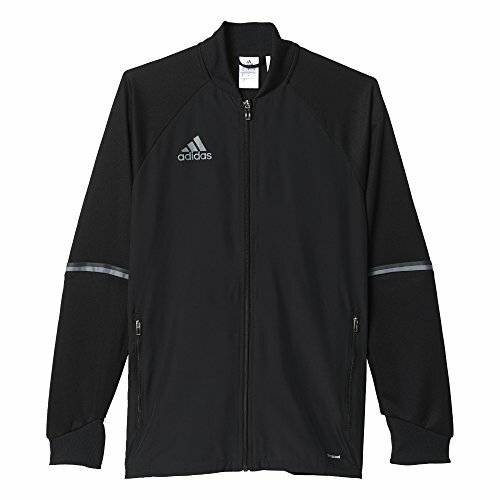 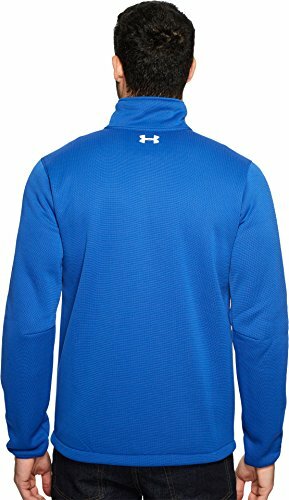 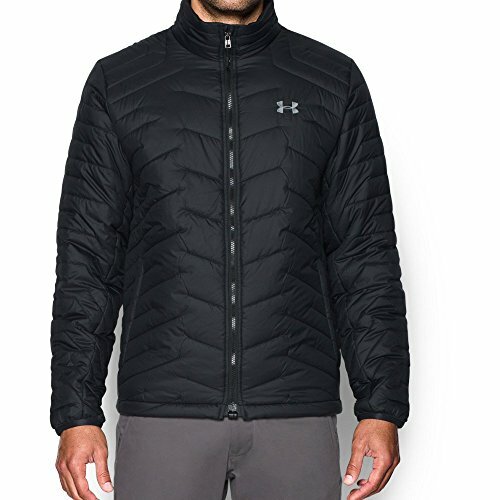 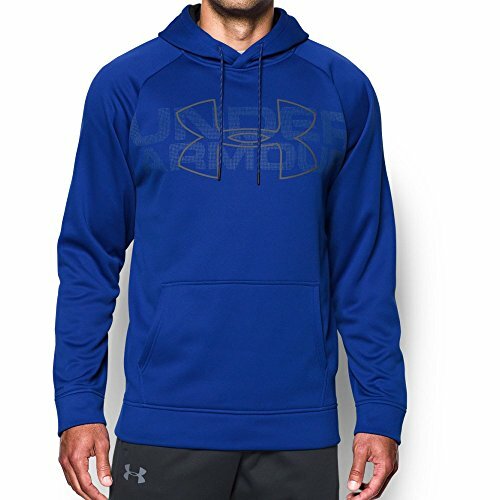 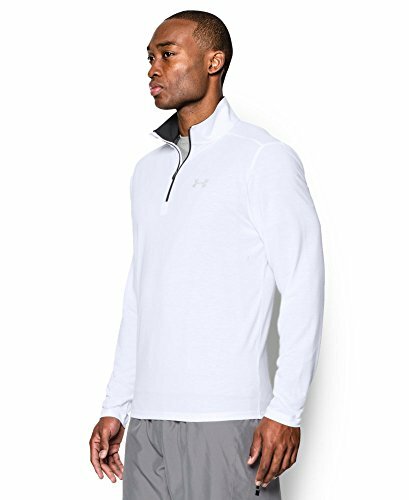 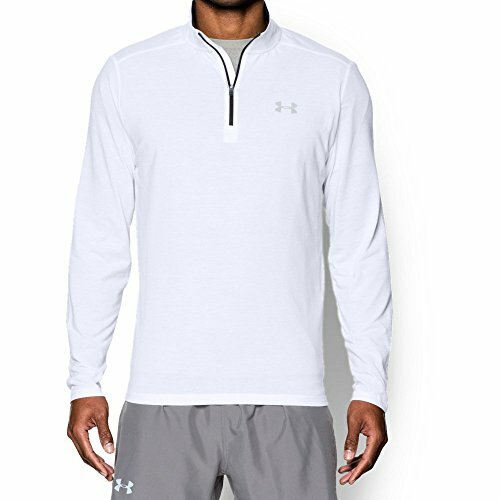 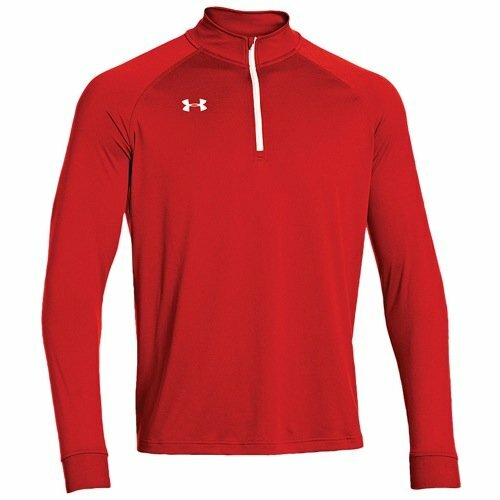 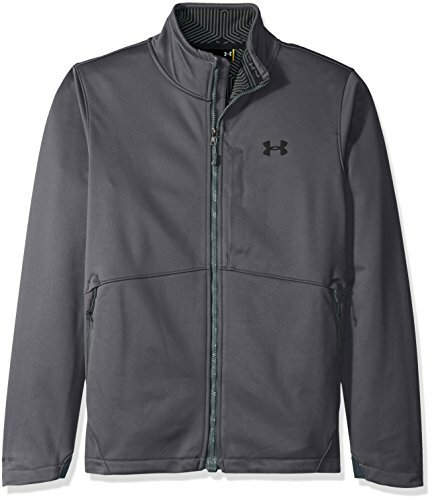 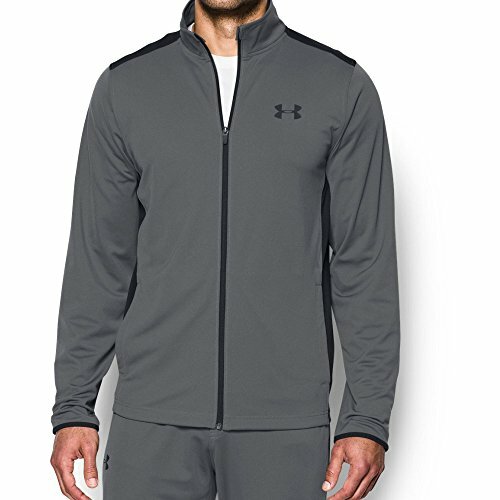 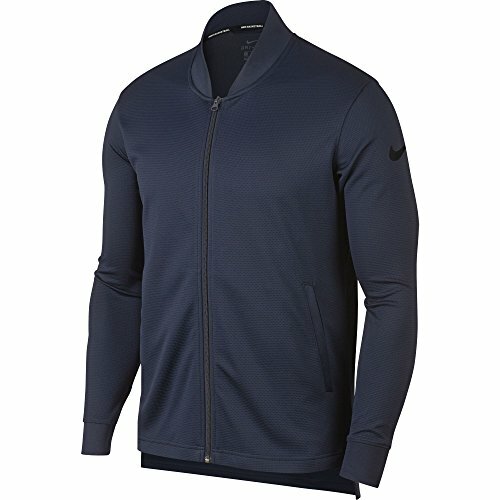 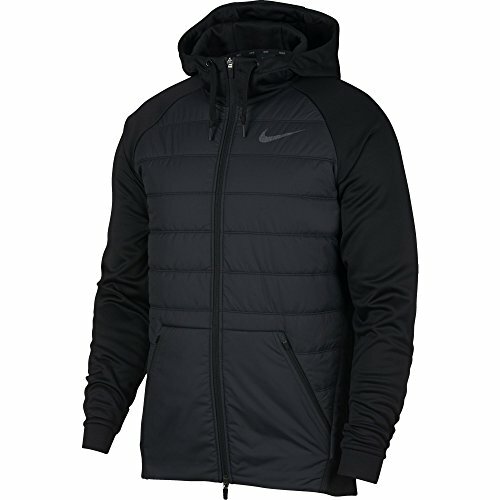 Lightweight knit fabric helps keep you warm while moving with you on the court. 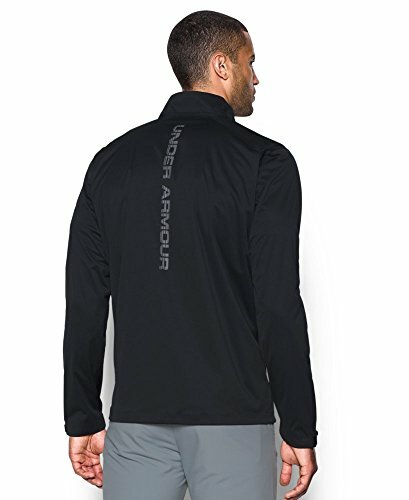 Fitted: Next-to-skin without the squeeze.ColdGear Infrared technology uses a soft, thermo-conductive inner coating to absorb & retain your own body heat. 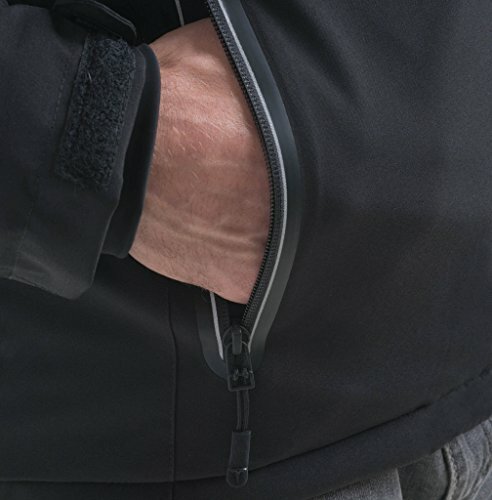 Zippered hand and chest pockets. 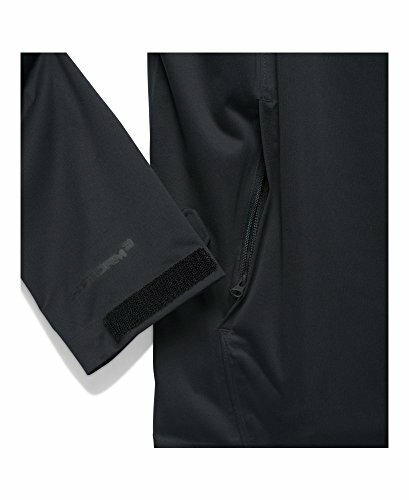 Adjustable cuffs, Draw cord adjustable hem. 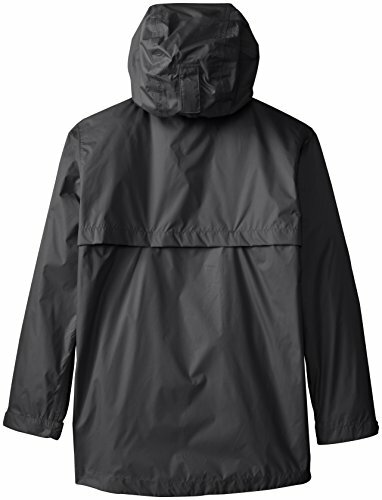 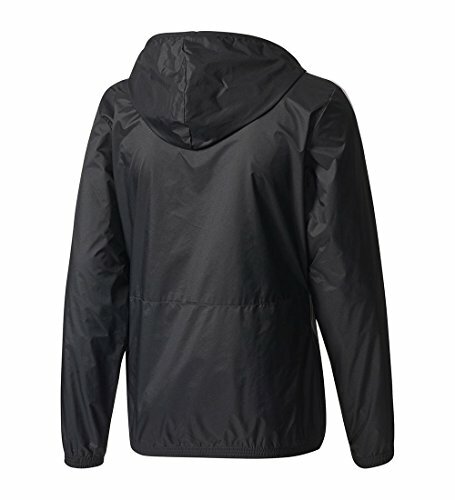 Rain Protector, Attached, adjustable hood. 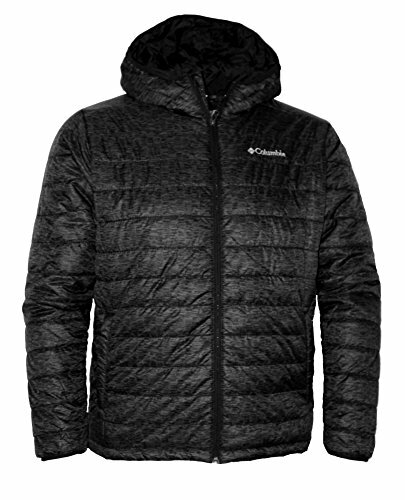 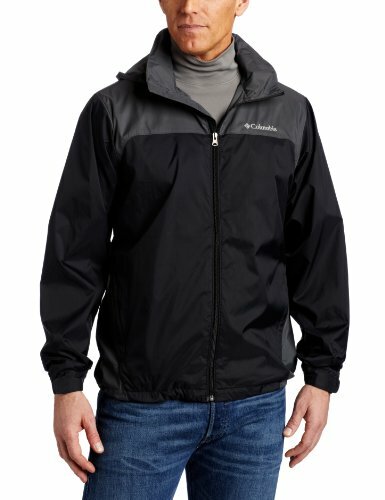 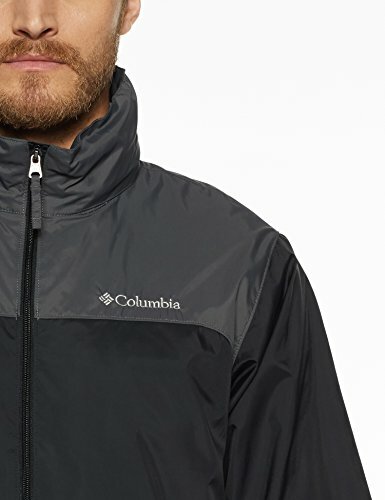 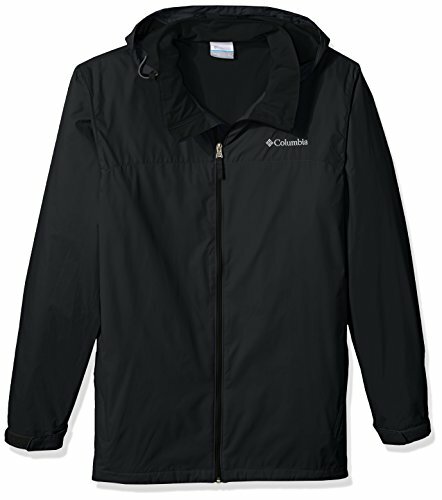 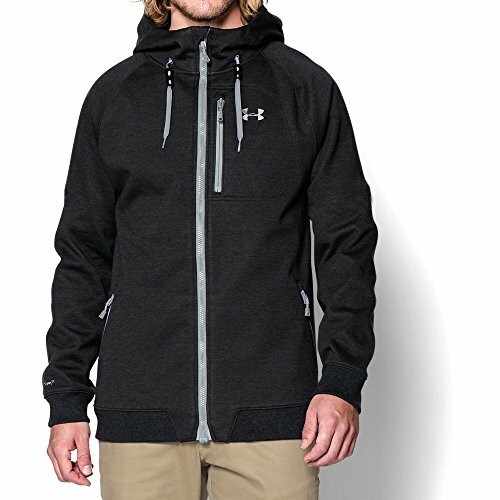 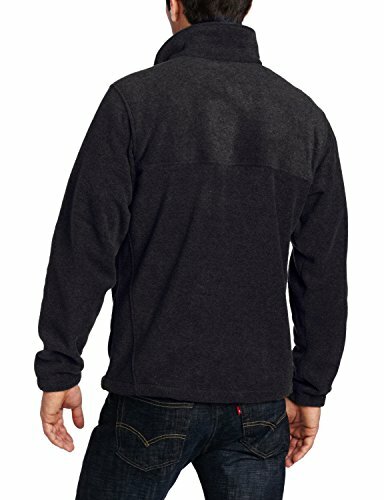 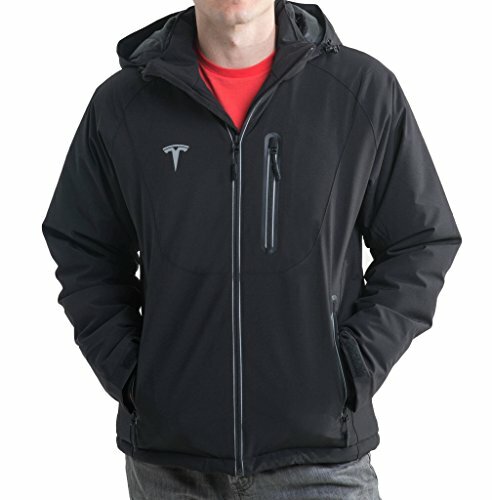 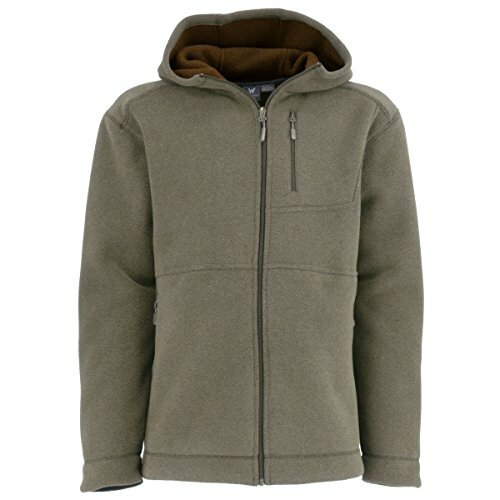 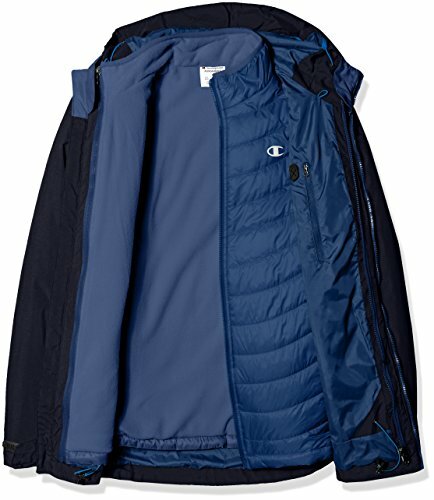 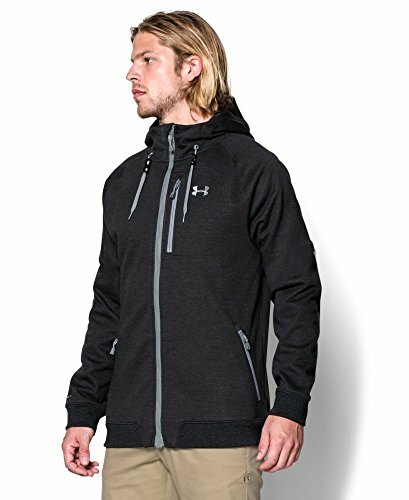 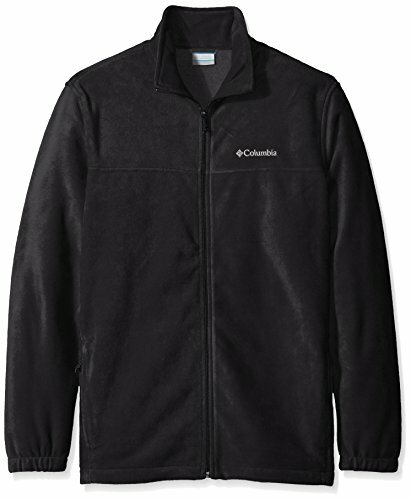 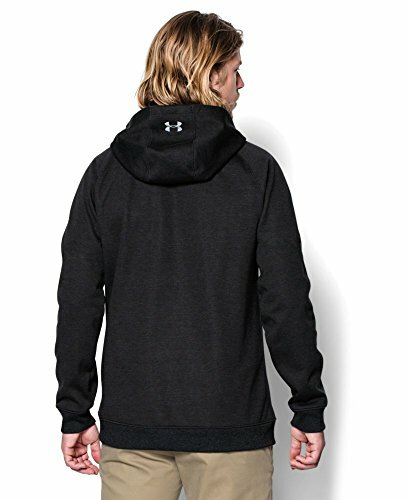 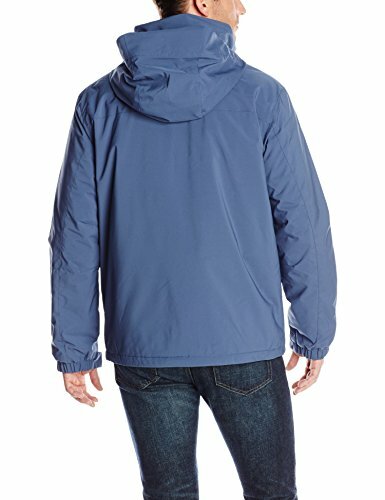 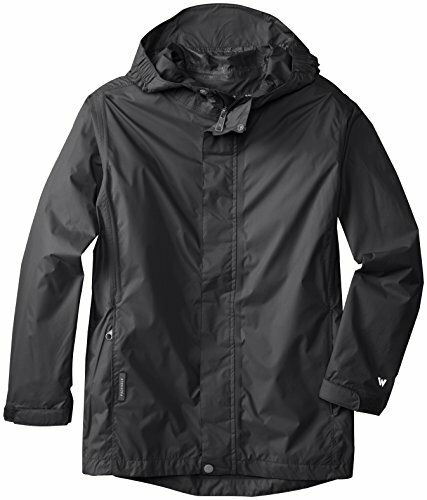 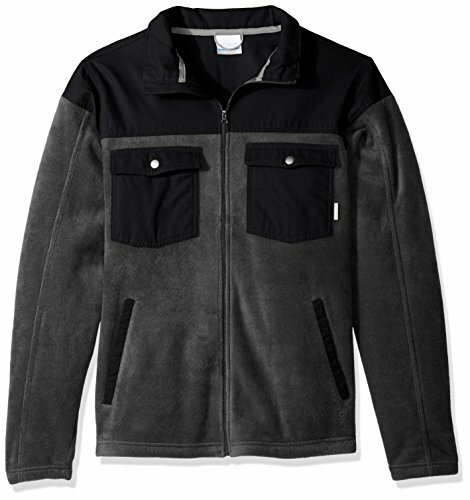 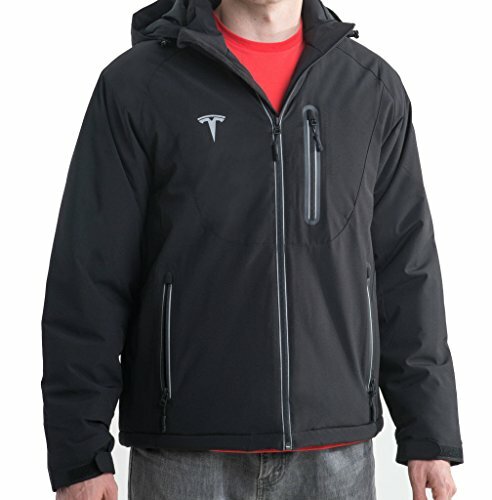 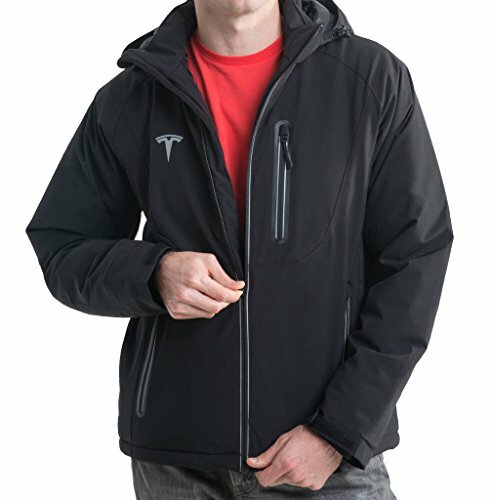 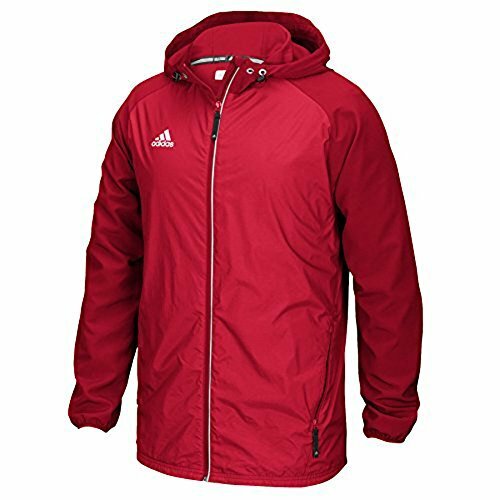 Made of durable material, yet comfortable and warm enough for everyday wear. 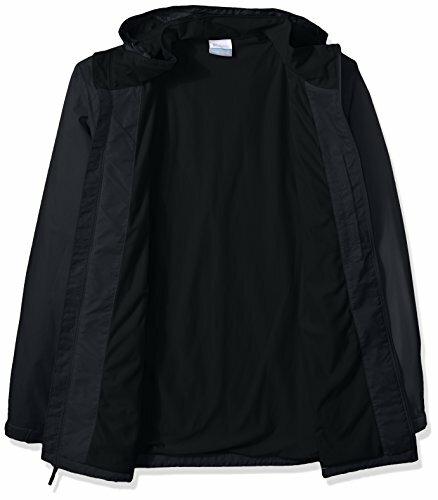 Machine Wash: Normal Cycle, Hang Dry.Shell: 100% Cotton Body Lining: 100% polyester. 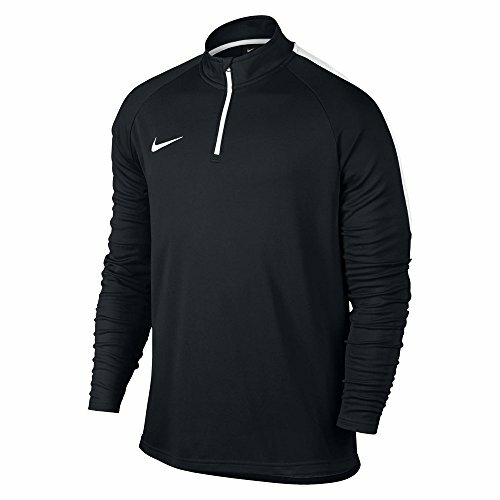 Long sleeves with button straps, front button and zip closure. 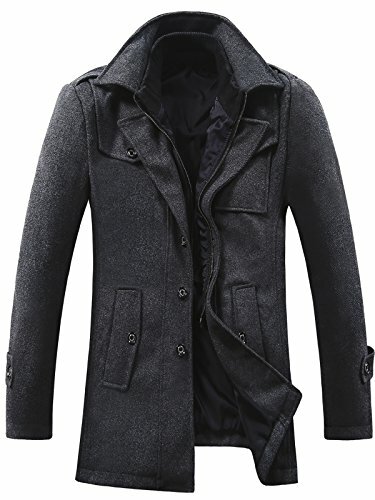 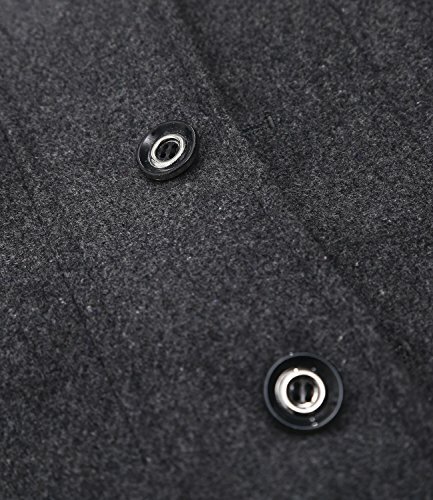 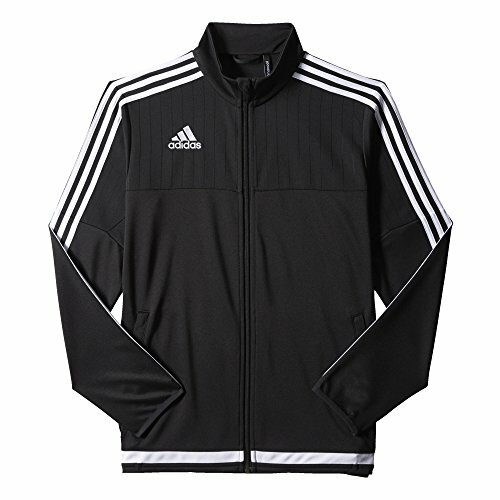 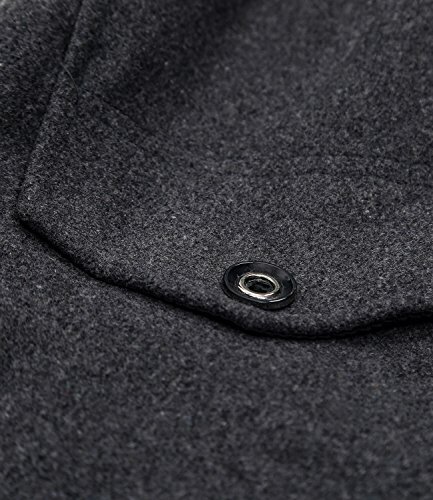 Fabric: 50% wool/50% polyester; Lining: 100% polyester.